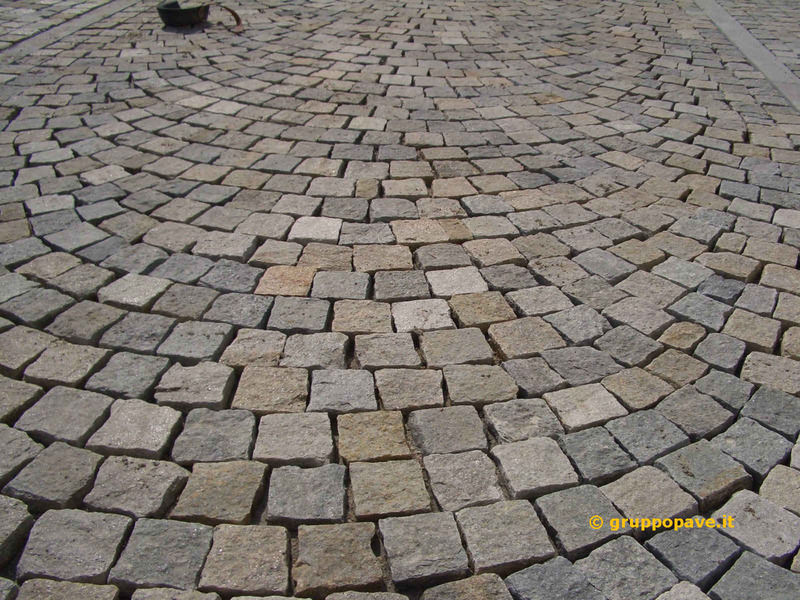 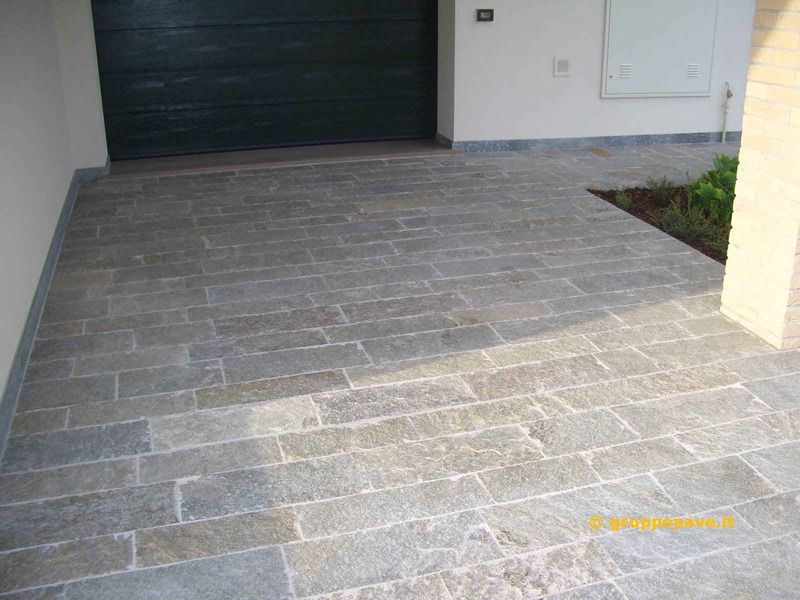 The Luserna stone is a gneiss: a bright material, unalterable to bad weather and rubbing. 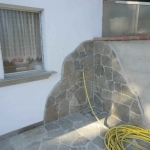 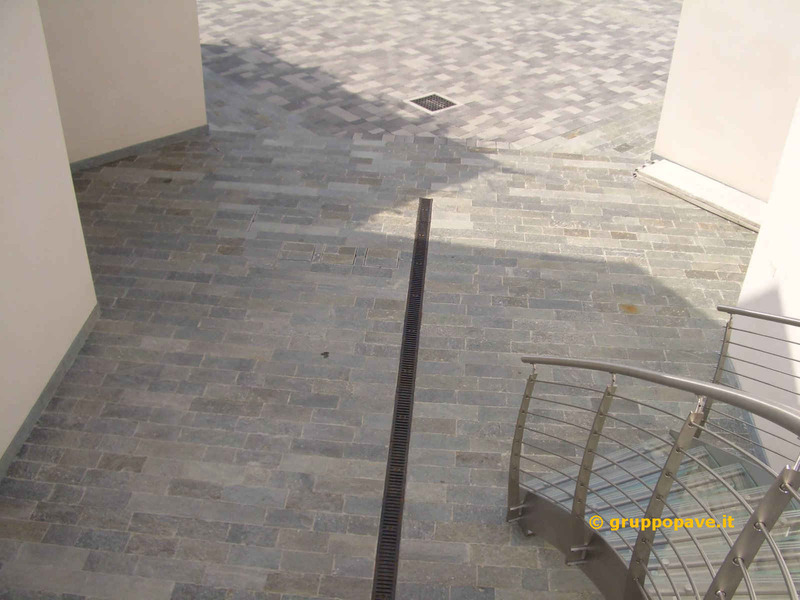 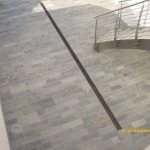 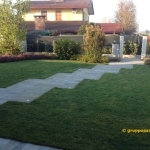 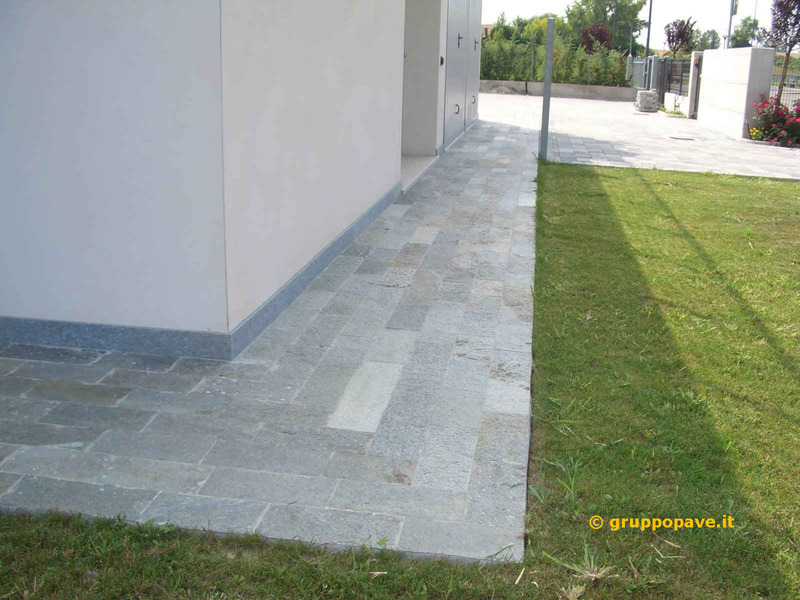 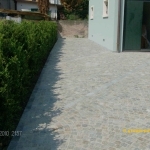 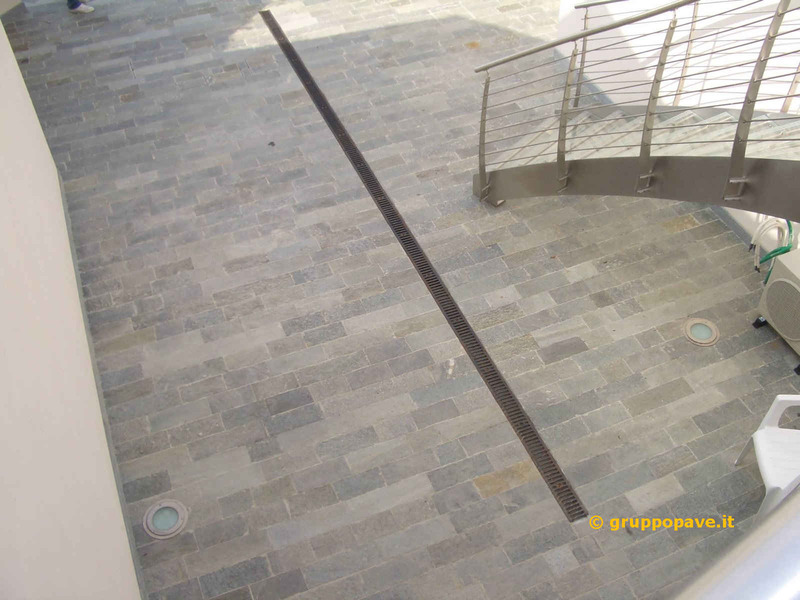 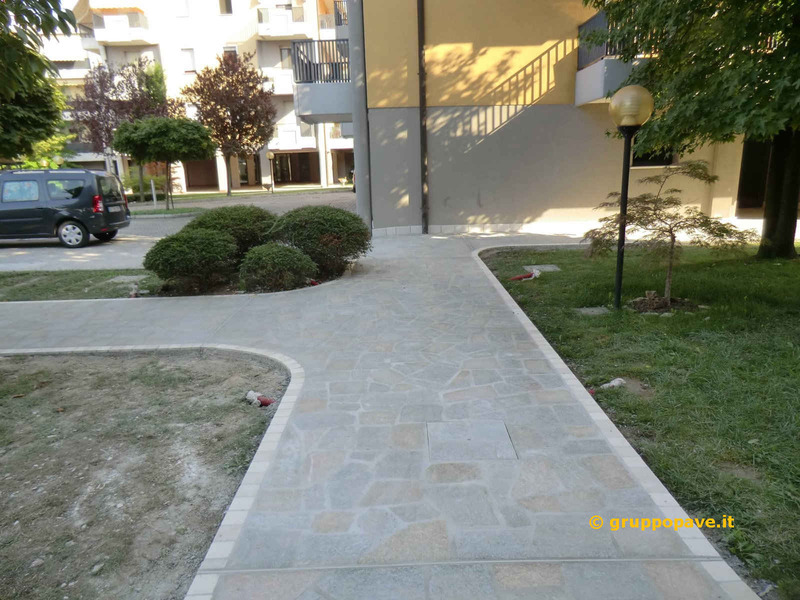 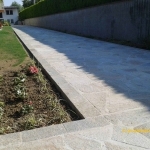 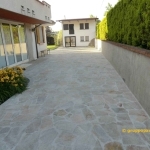 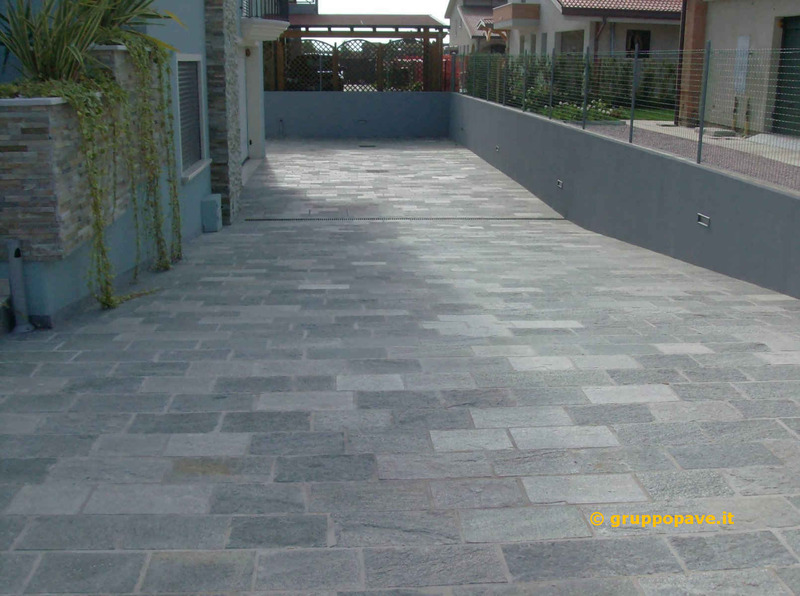 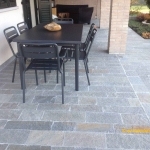 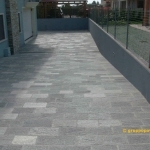 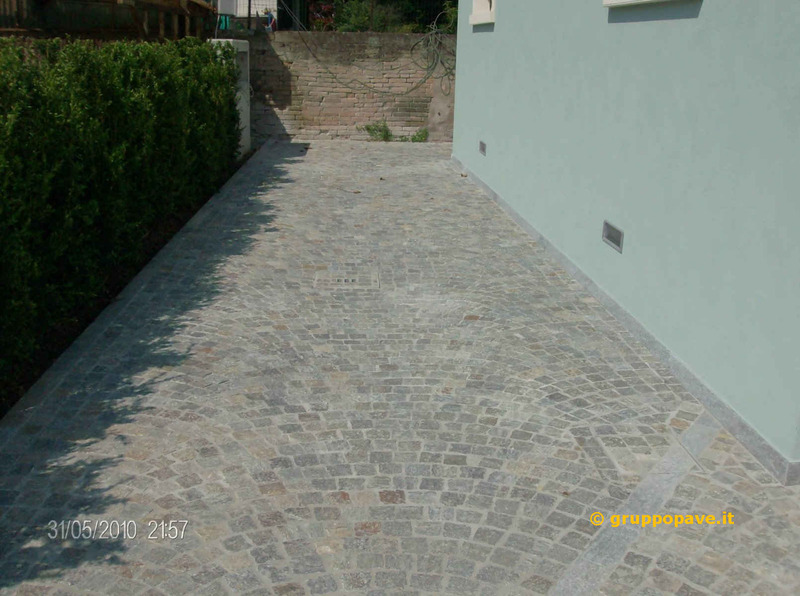 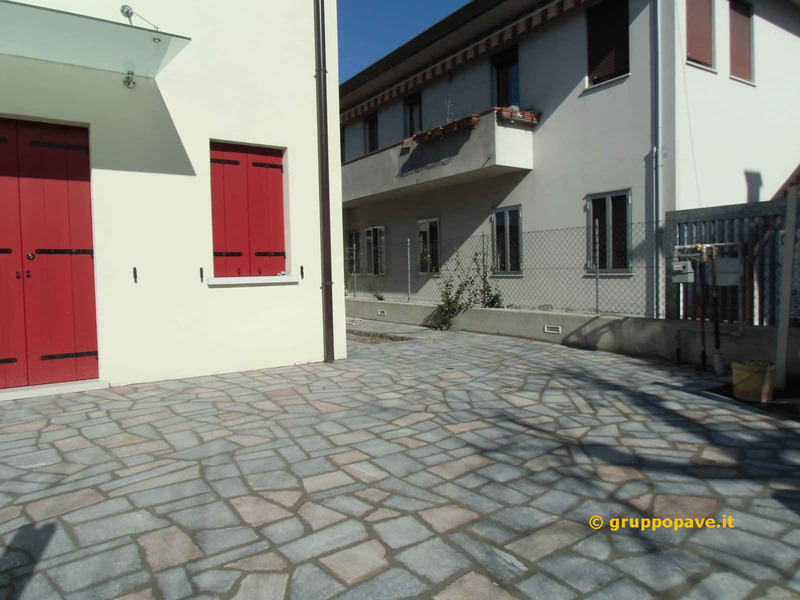 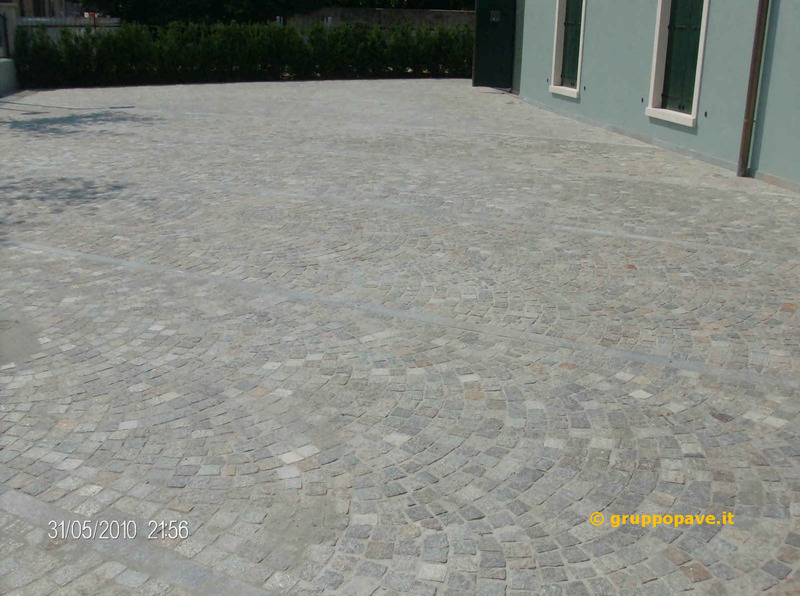 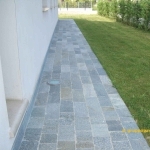 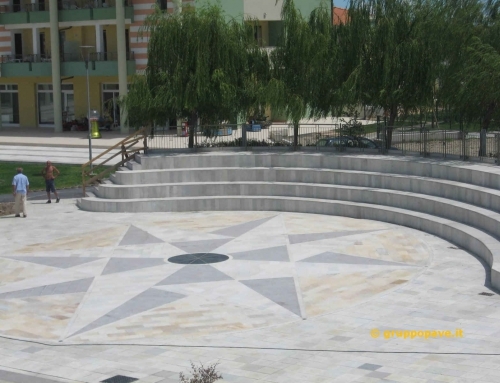 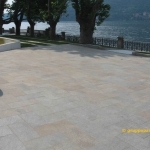 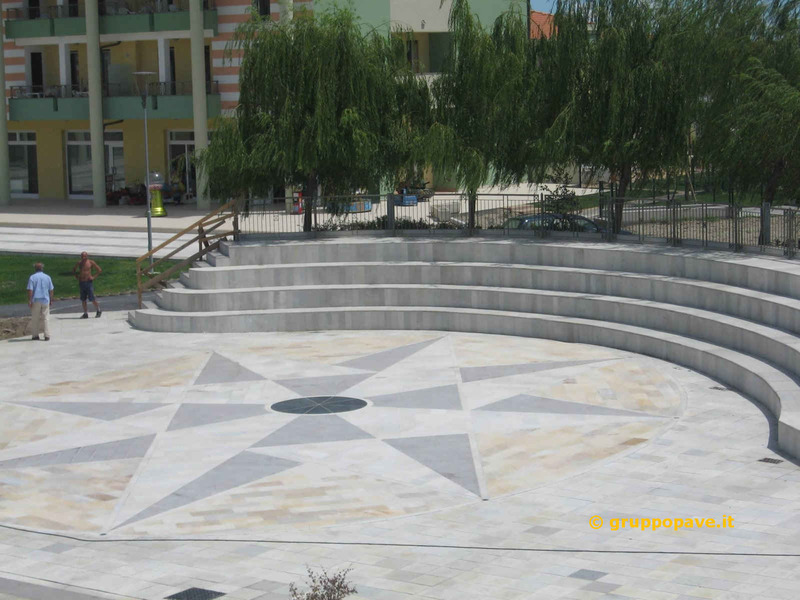 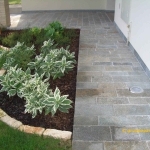 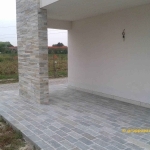 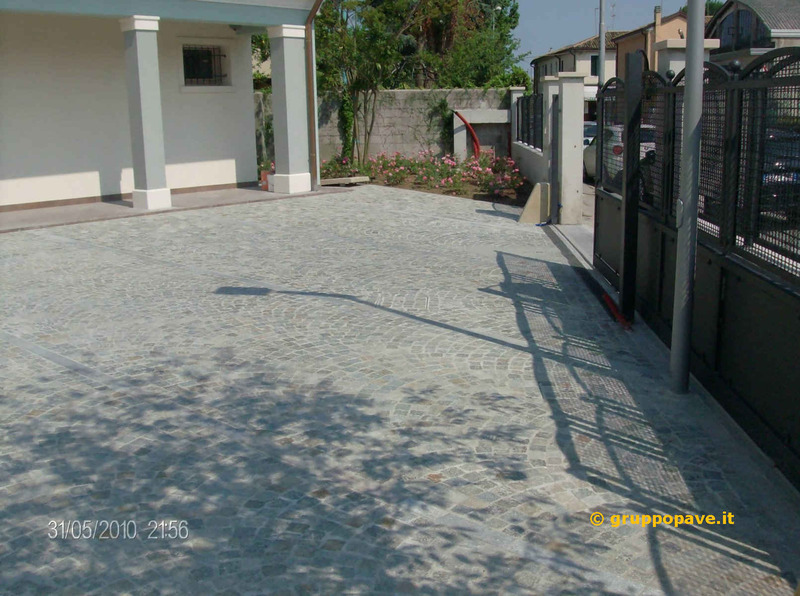 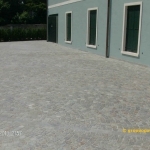 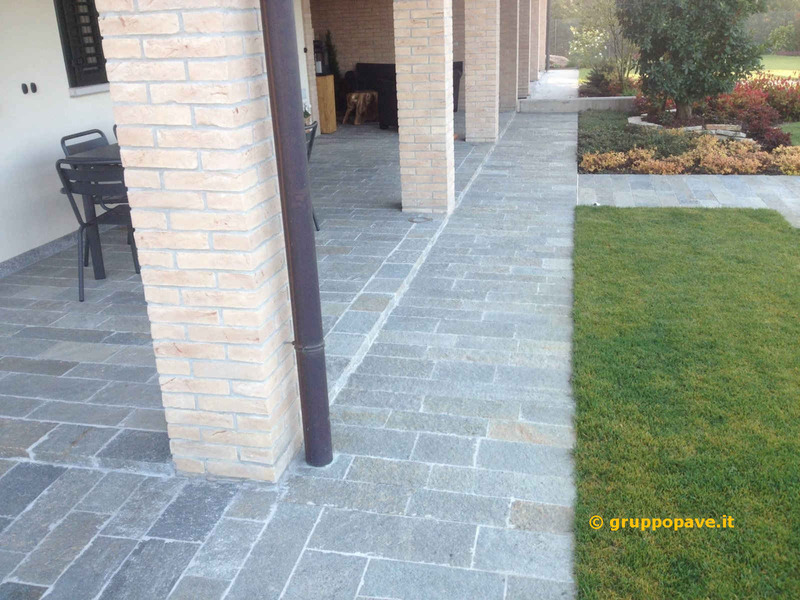 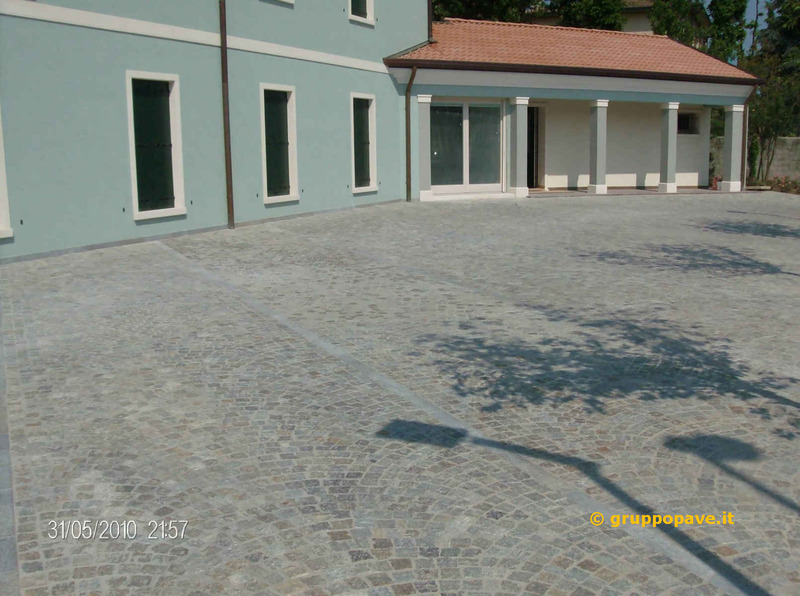 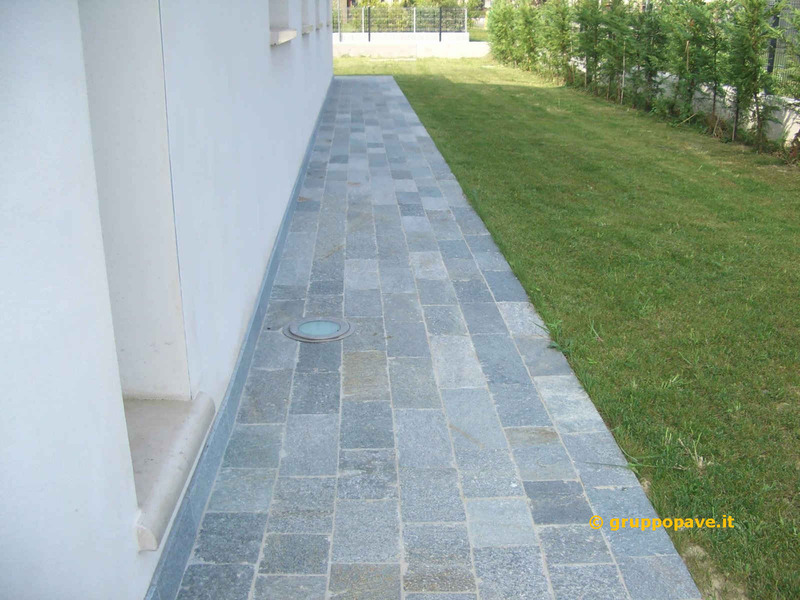 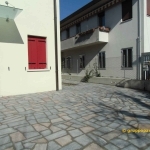 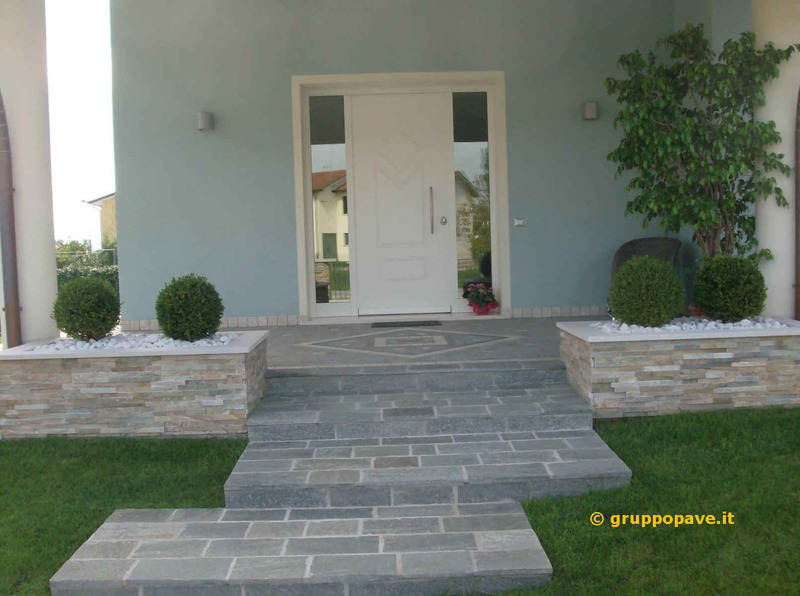 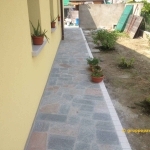 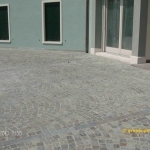 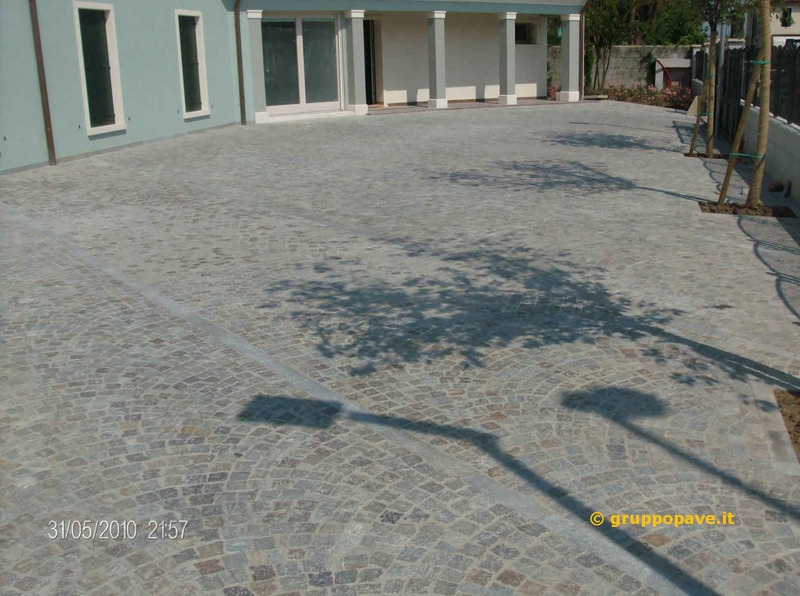 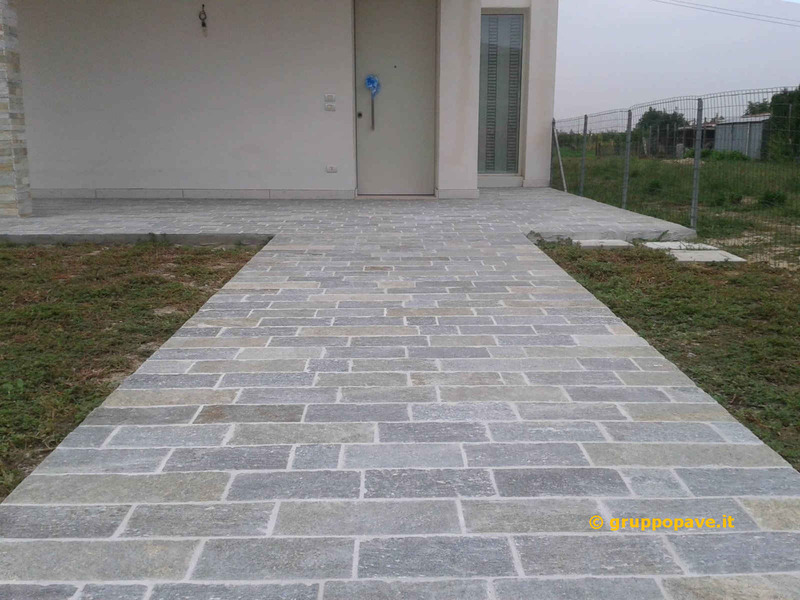 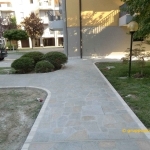 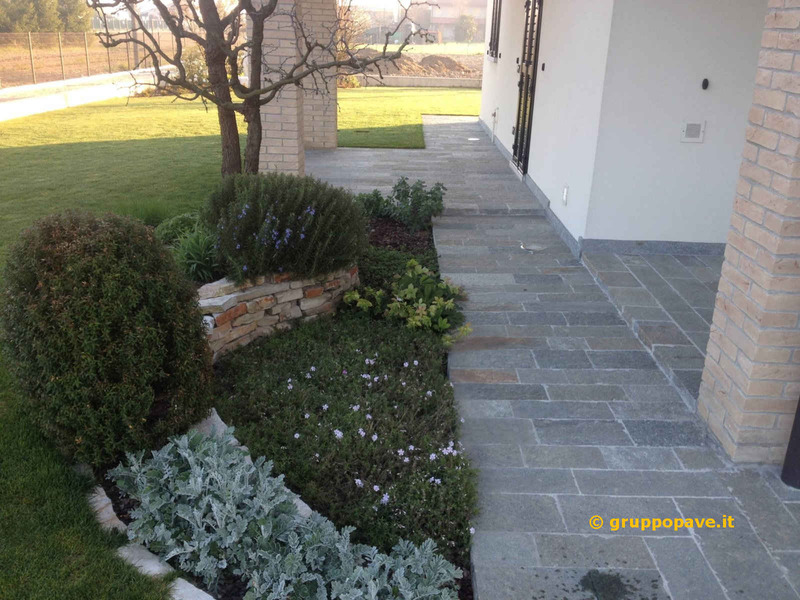 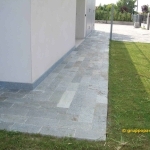 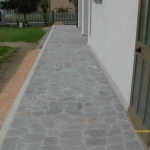 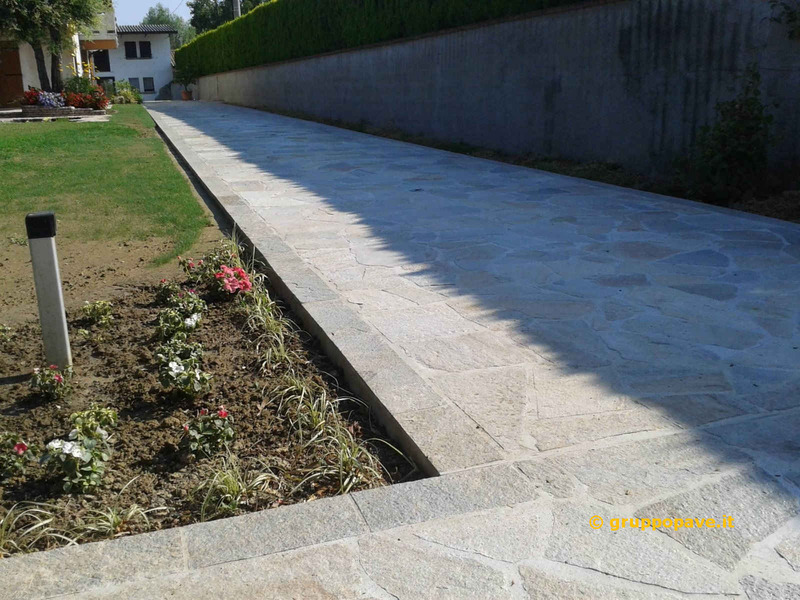 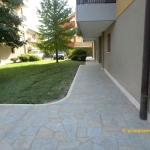 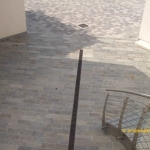 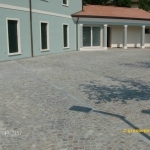 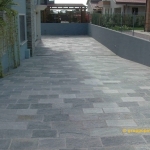 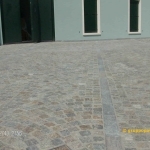 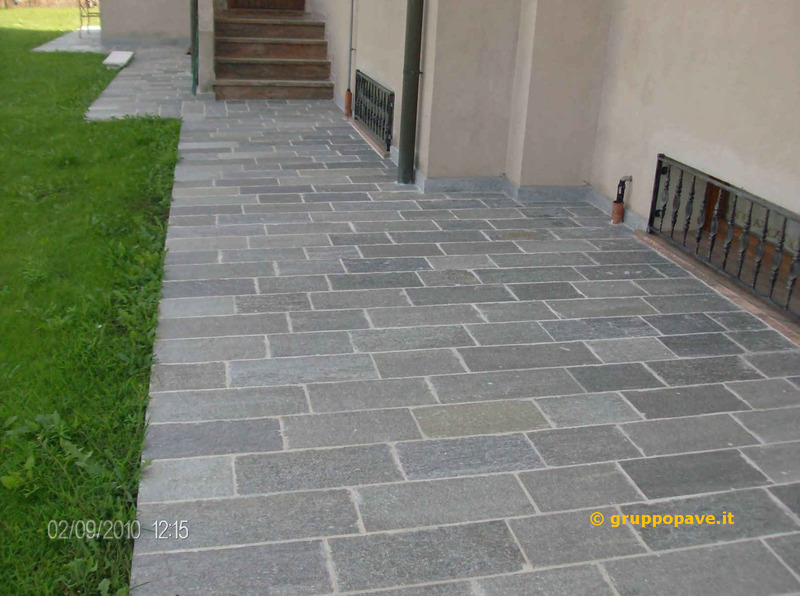 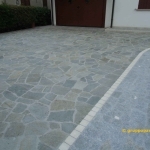 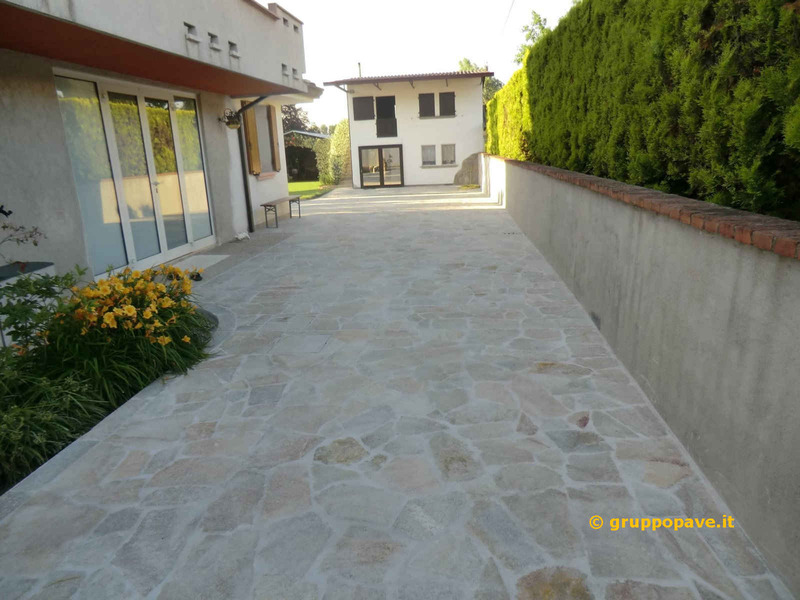 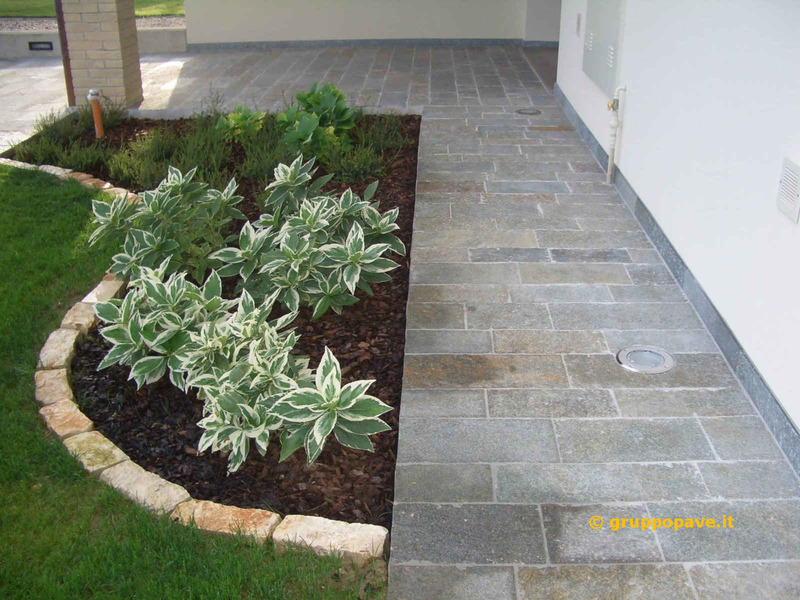 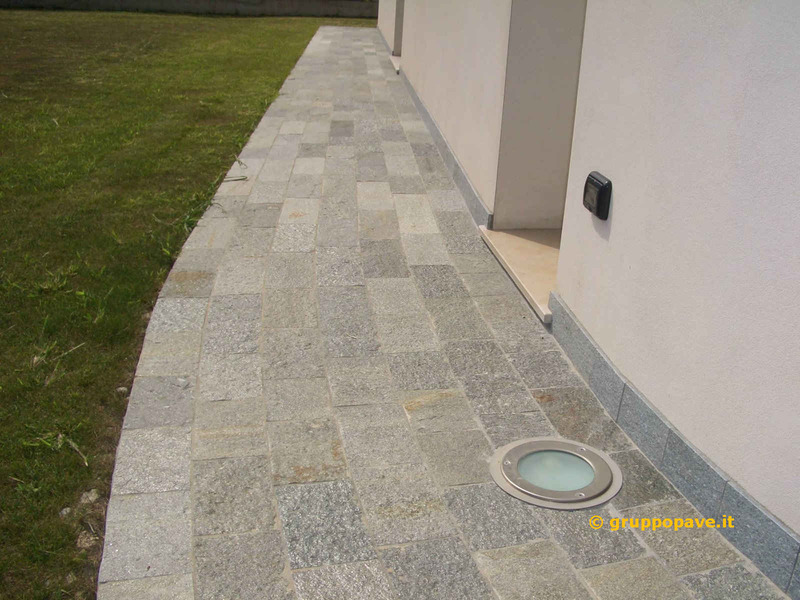 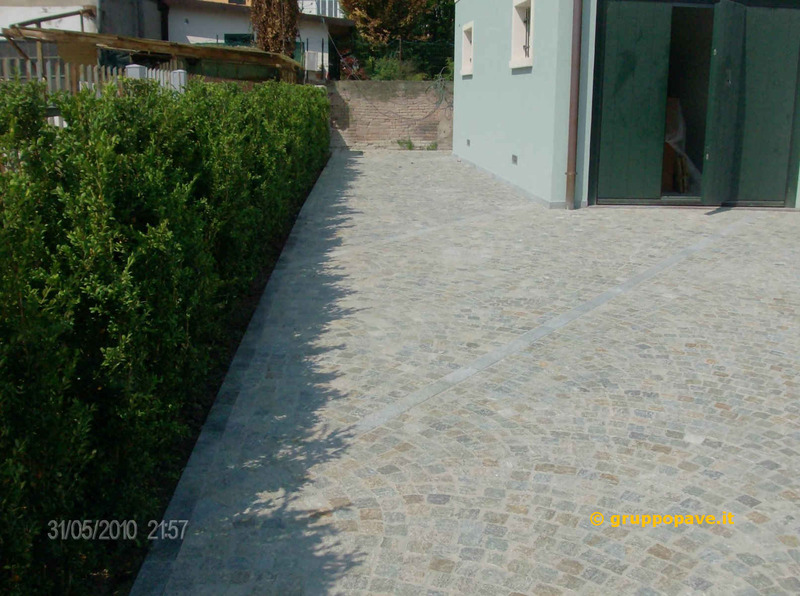 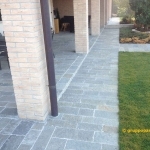 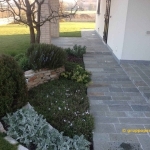 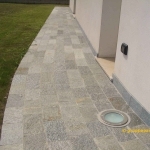 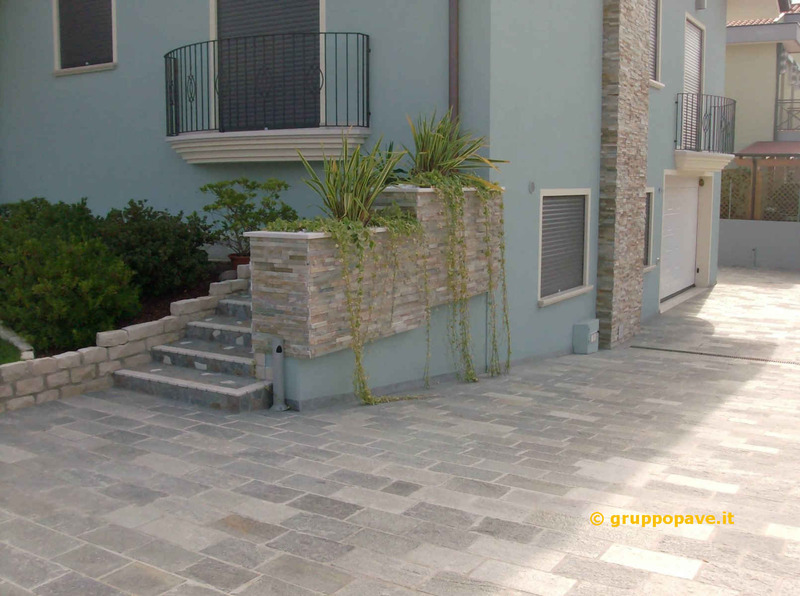 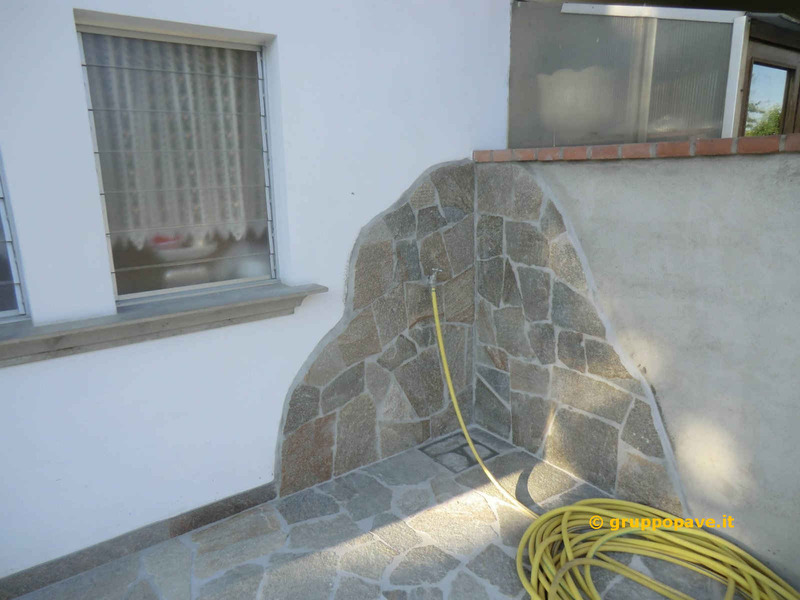 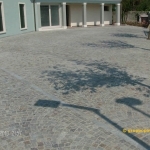 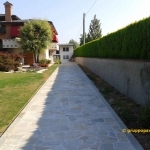 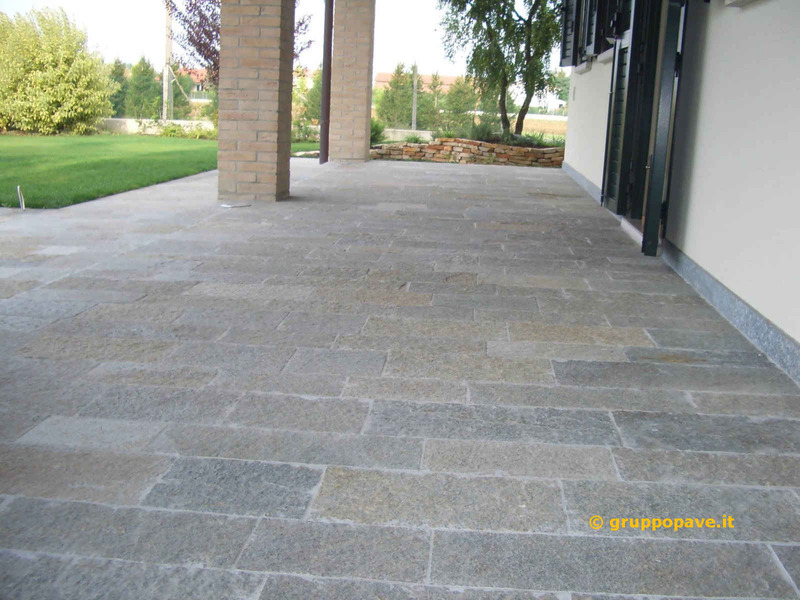 The Luserna stone has an unique resistance, though it has a reduced thickness, in any case it is used with excellent aesthetic results both for outside floorings and both for interior applications. 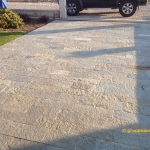 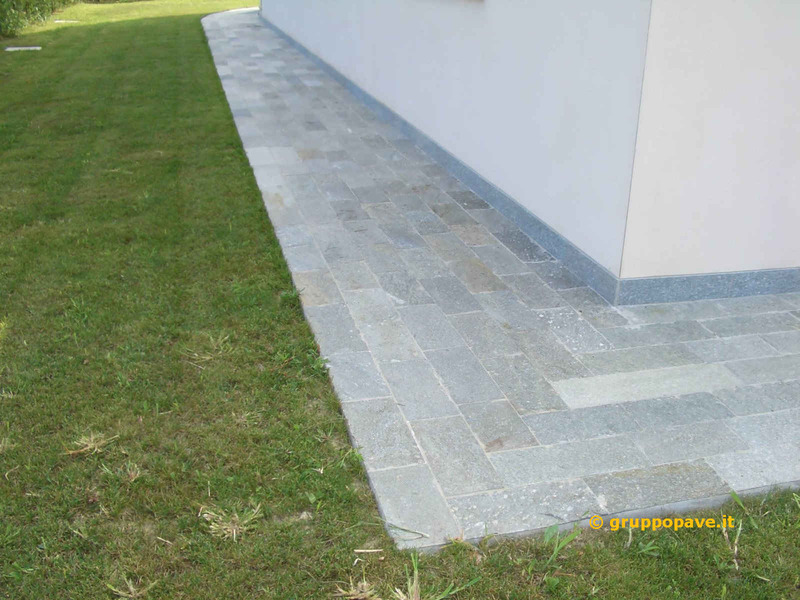 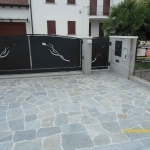 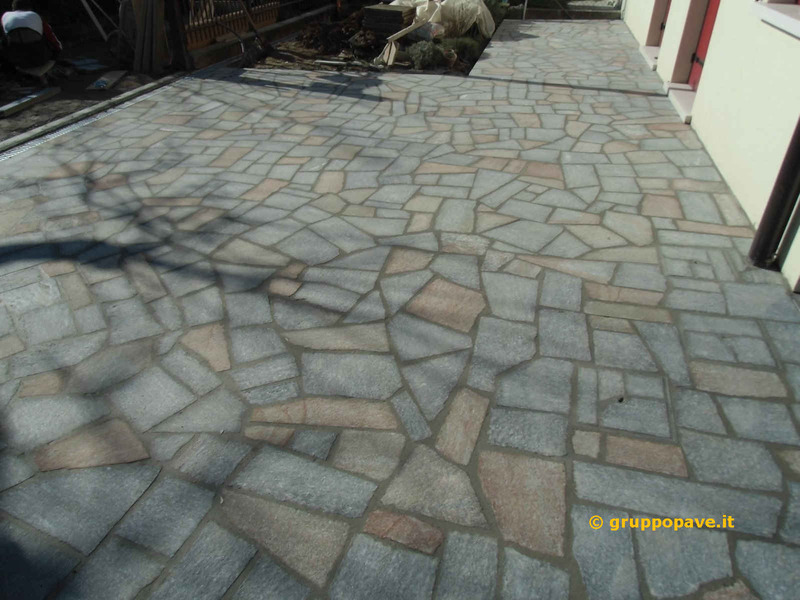 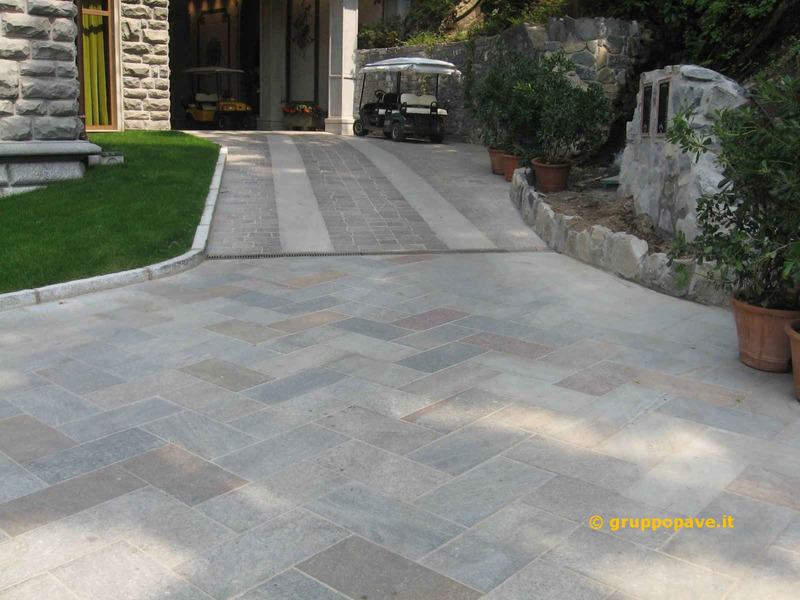 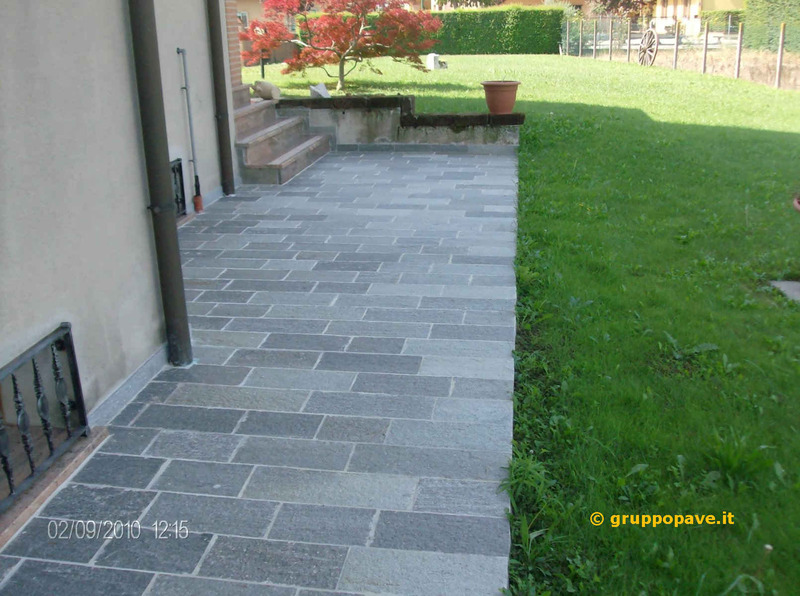 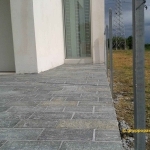 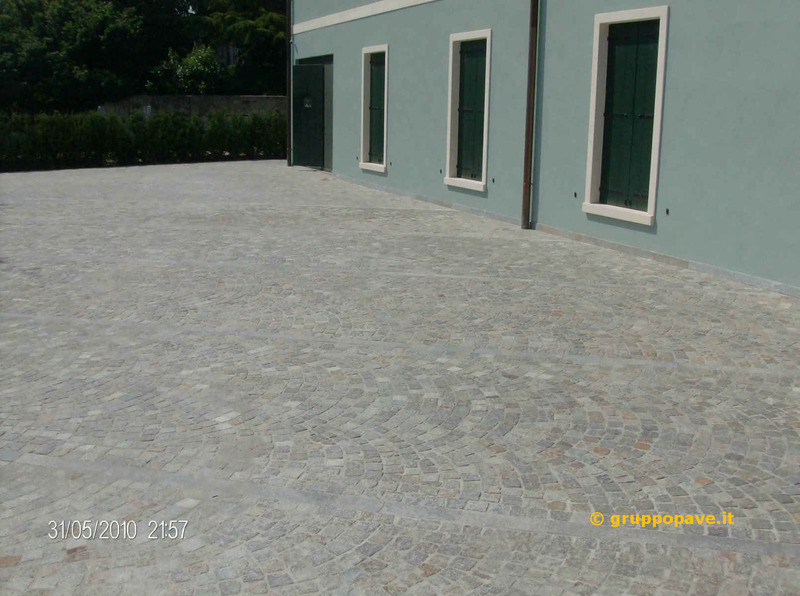 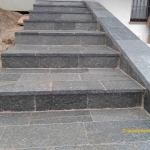 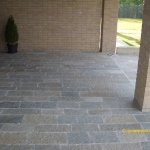 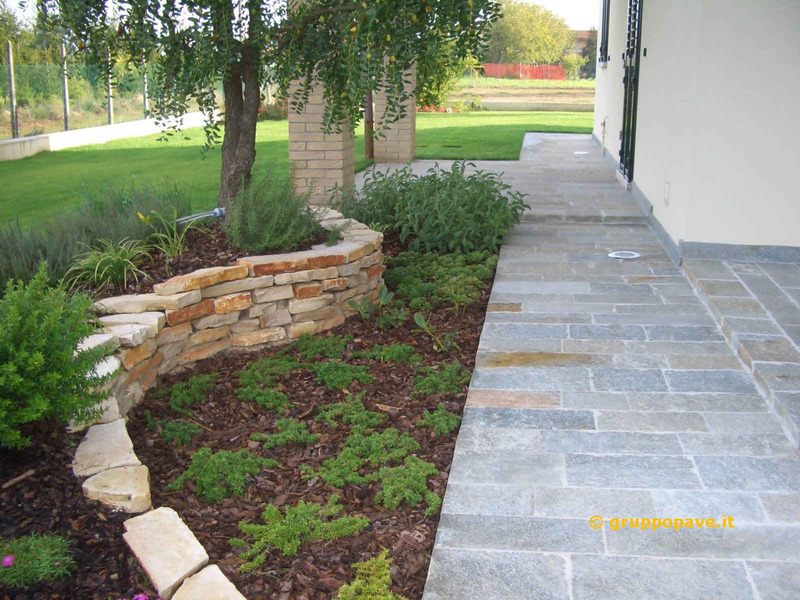 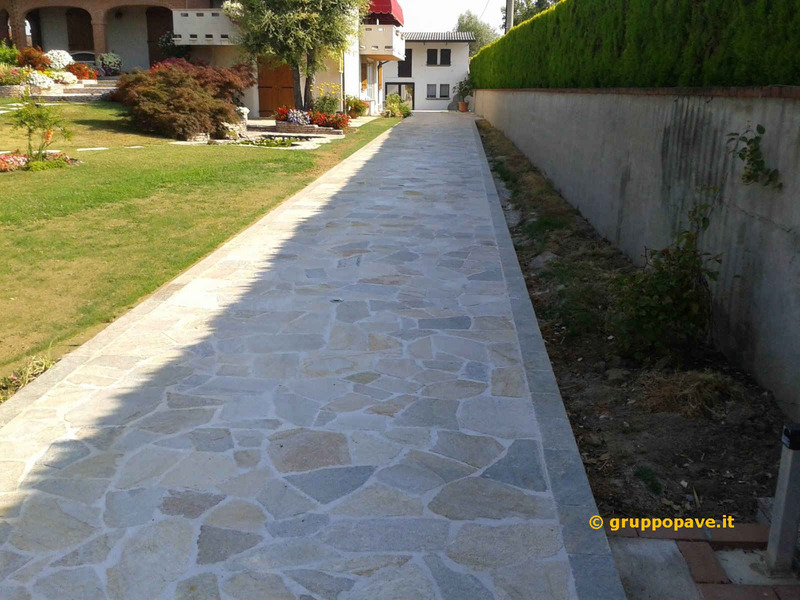 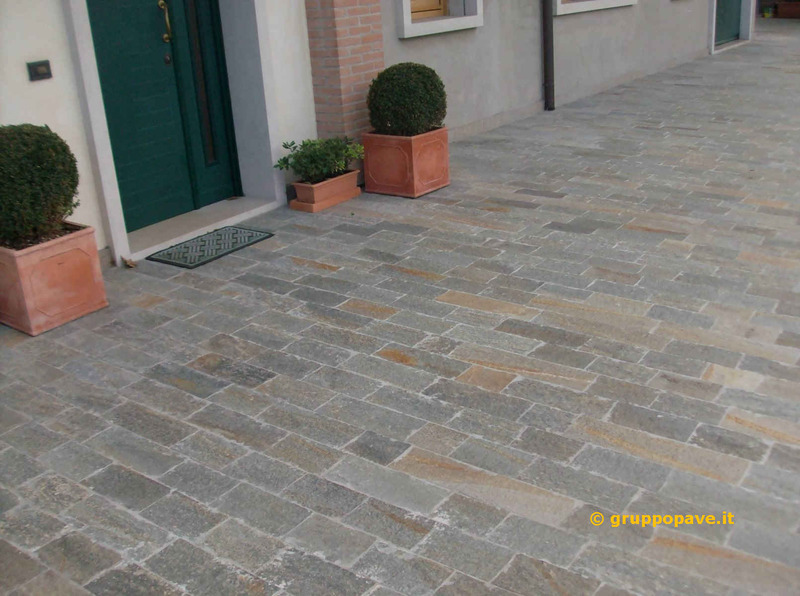 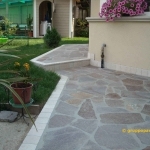 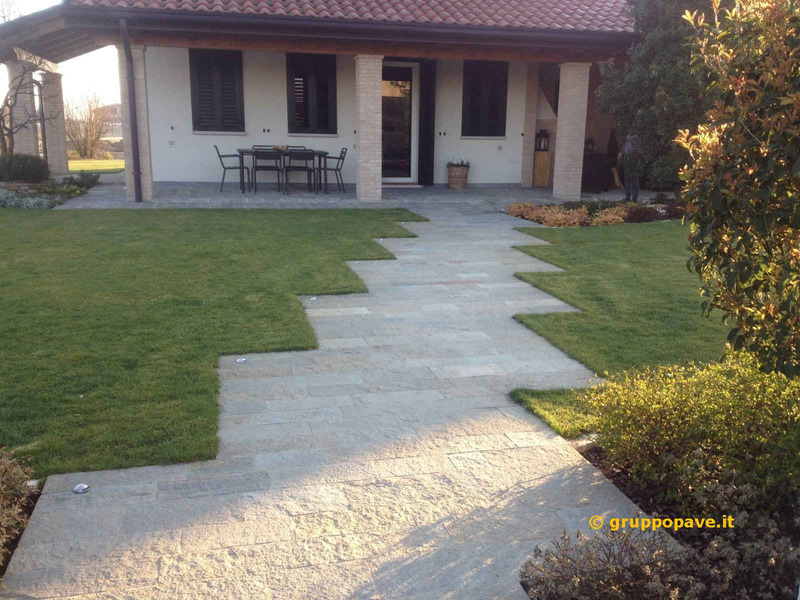 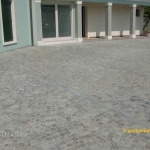 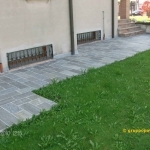 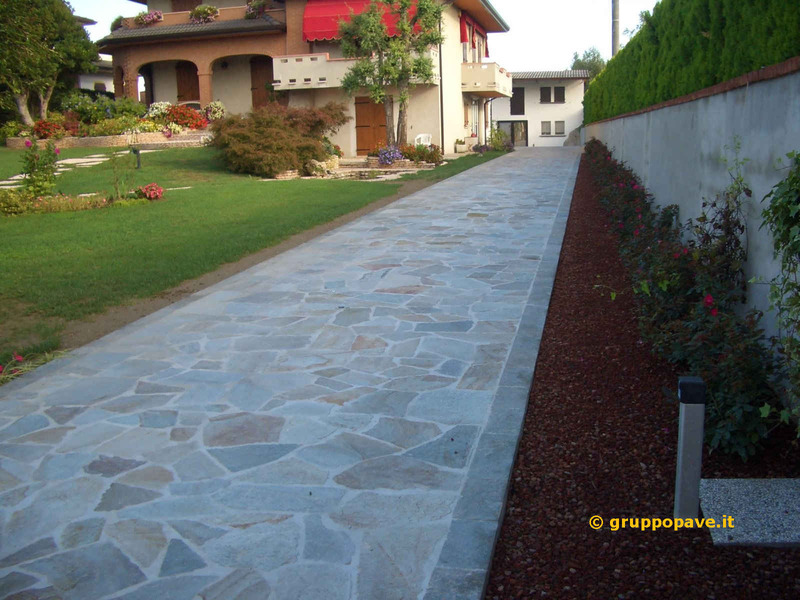 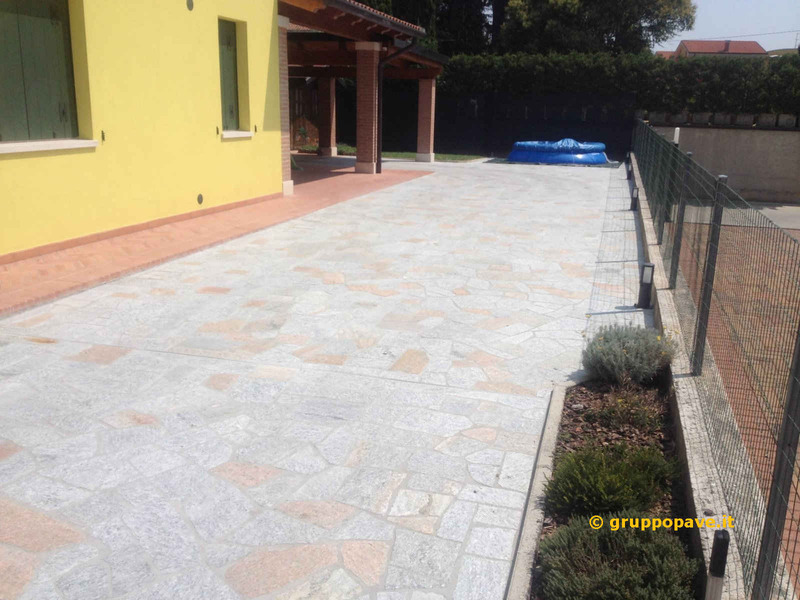 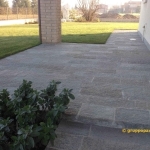 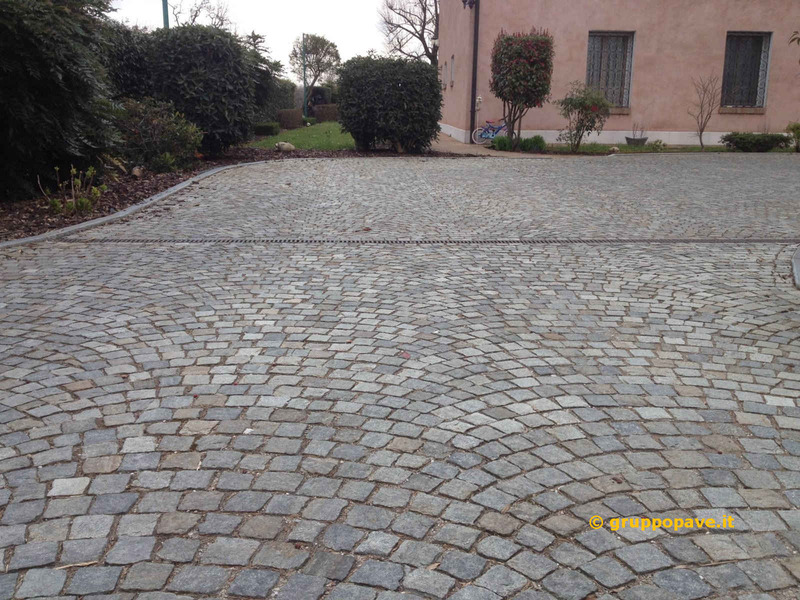 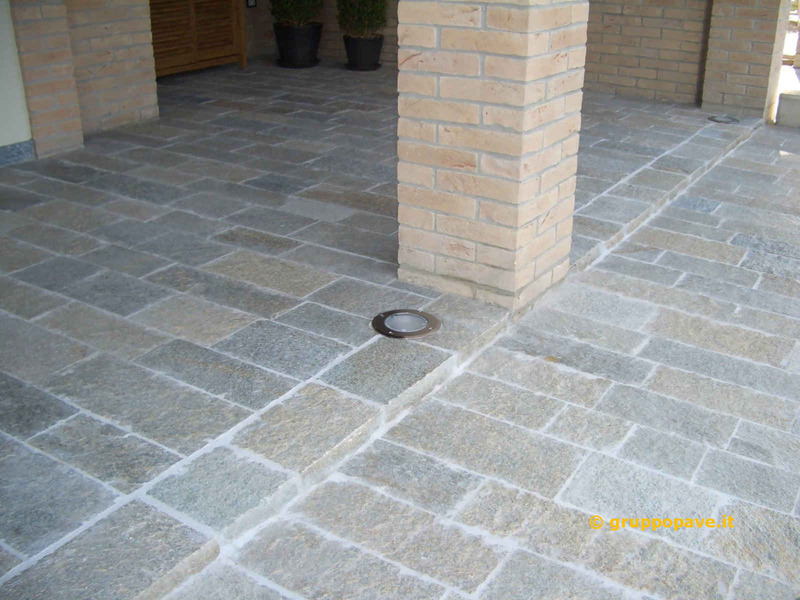 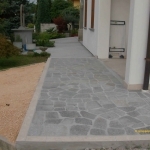 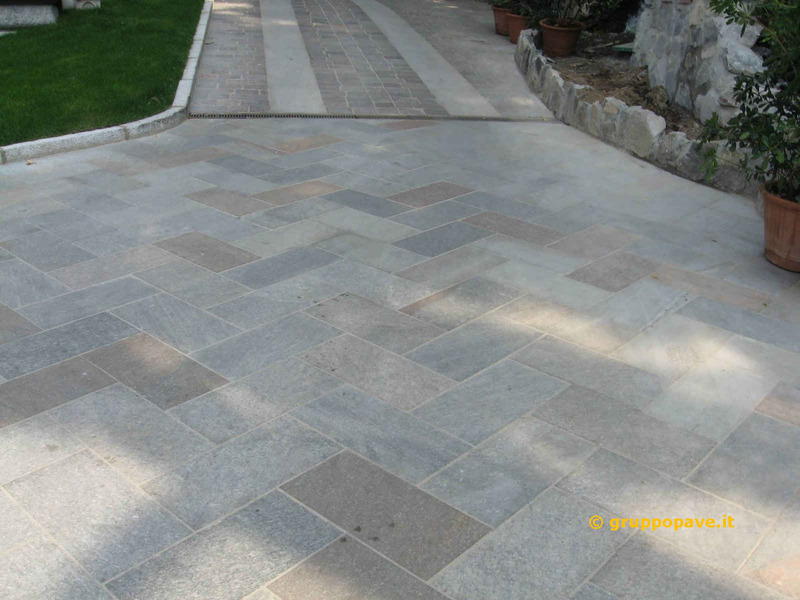 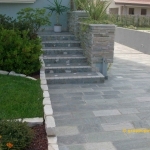 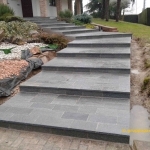 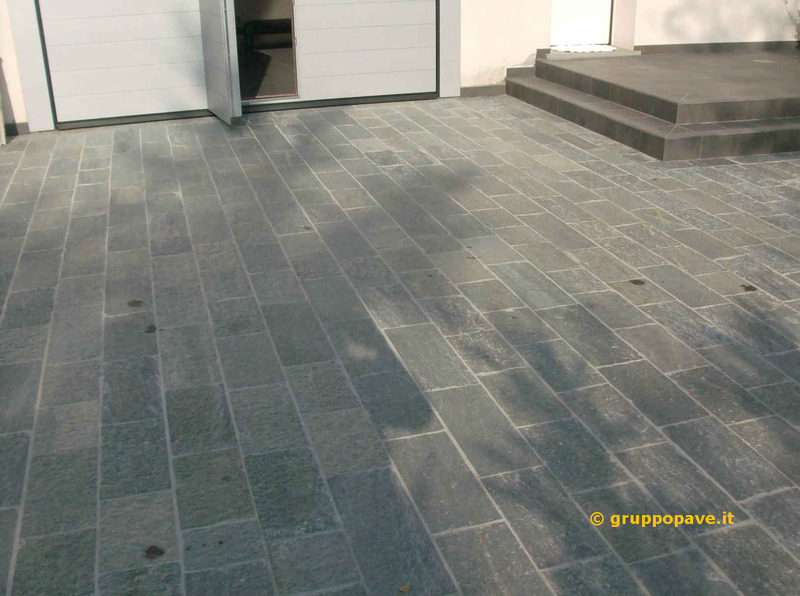 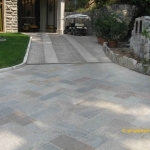 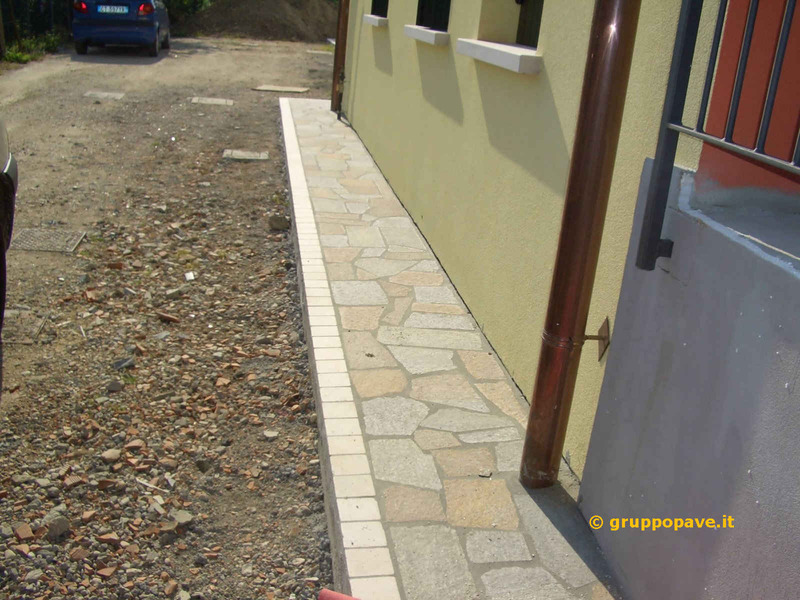 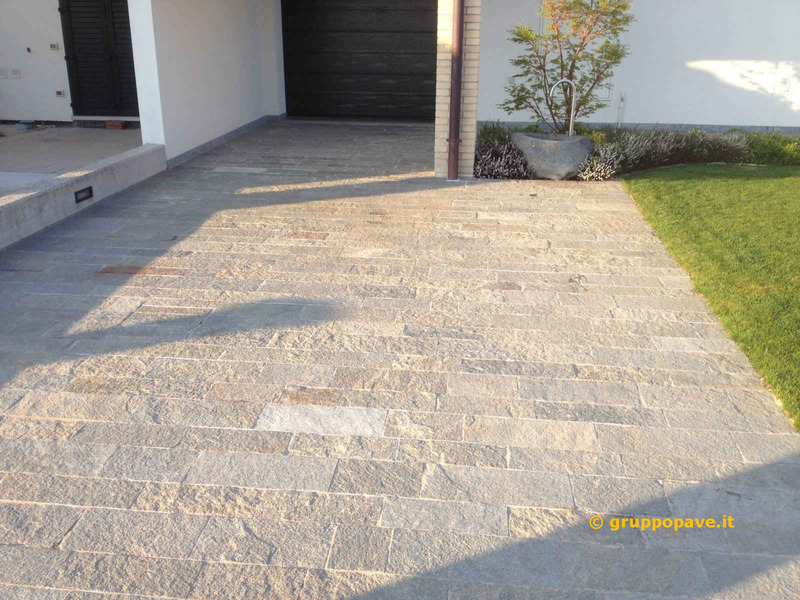 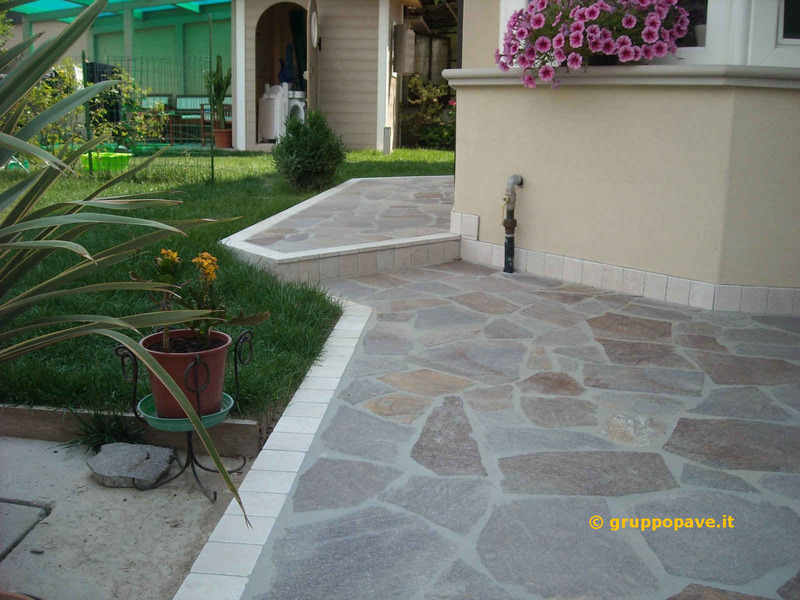 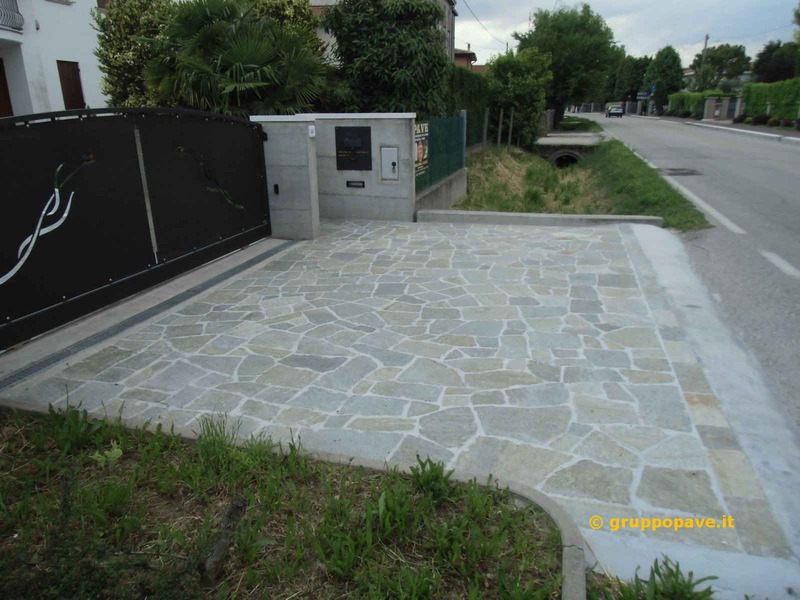 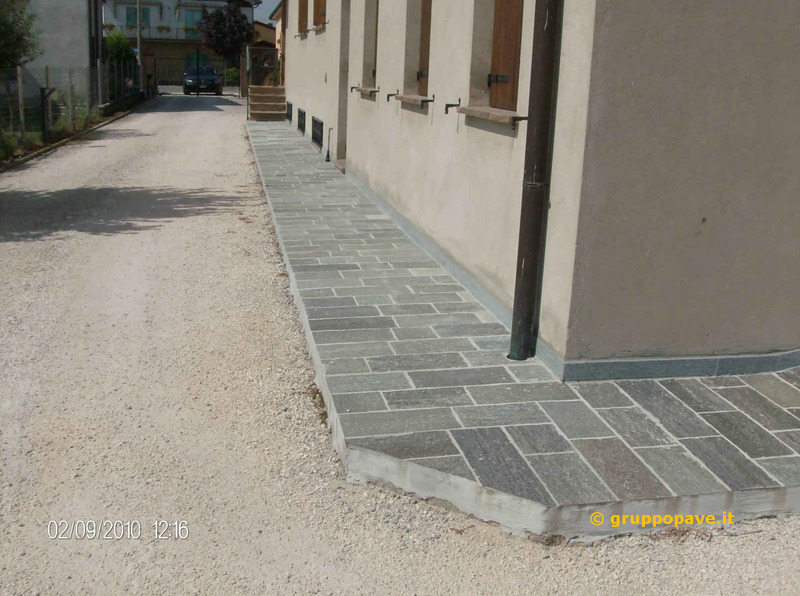 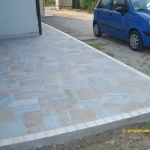 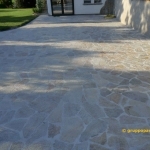 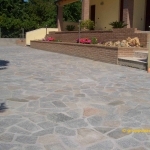 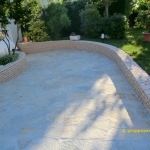 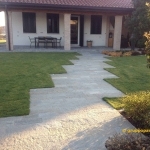 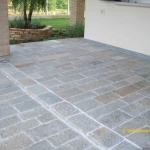 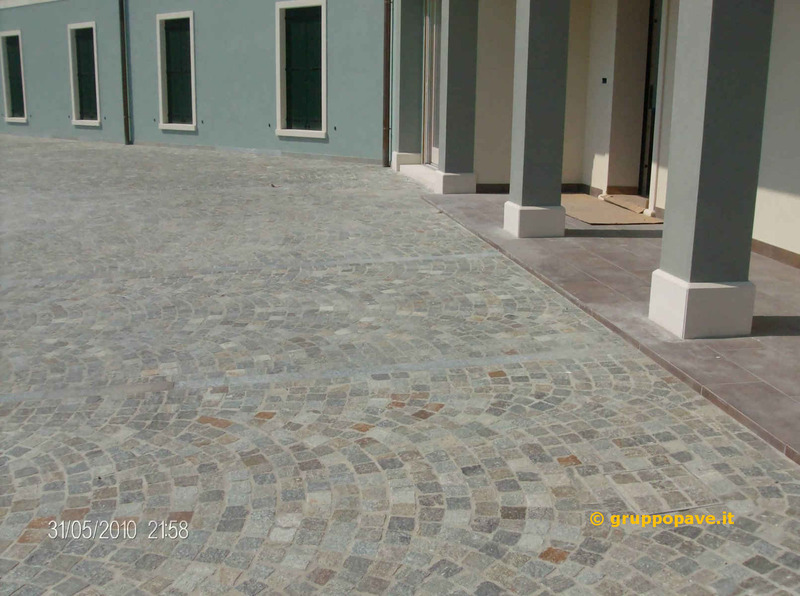 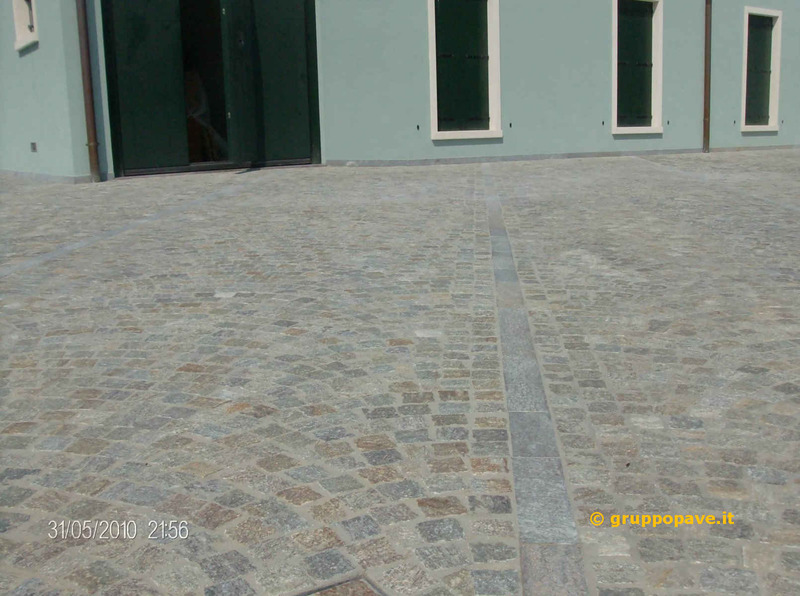 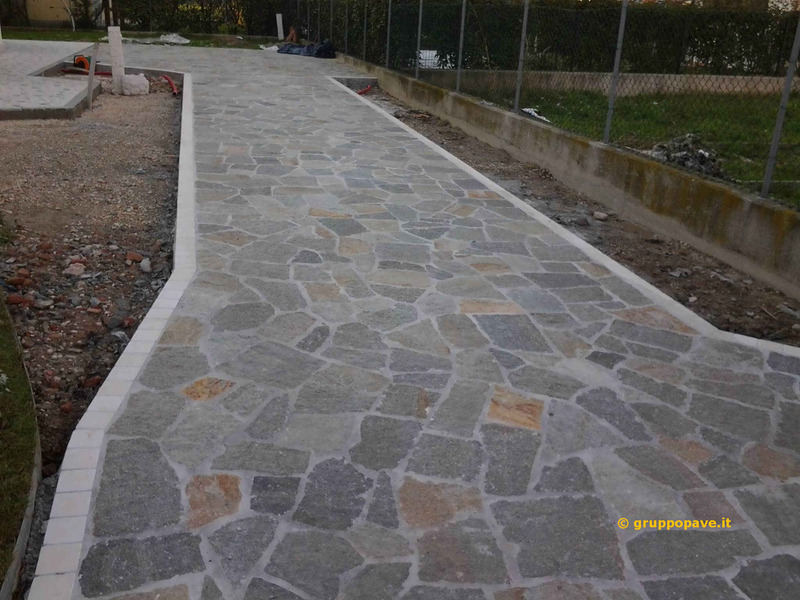 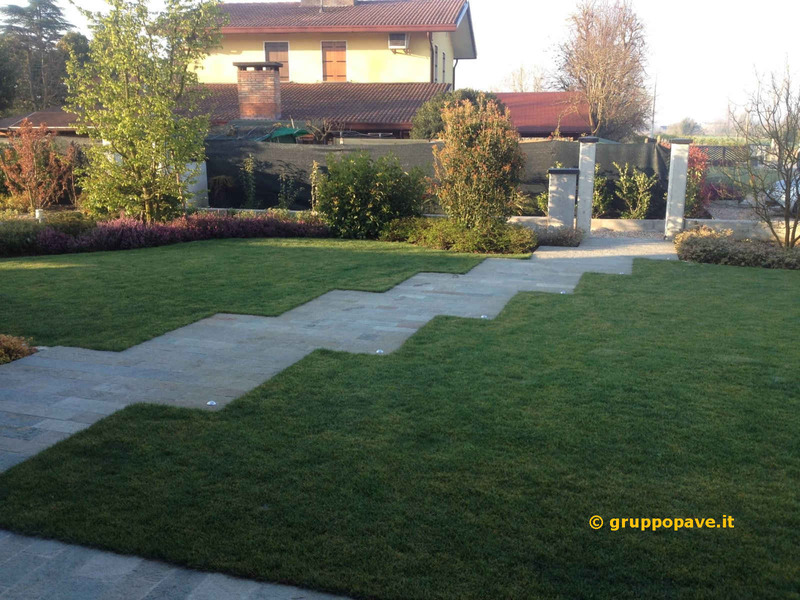 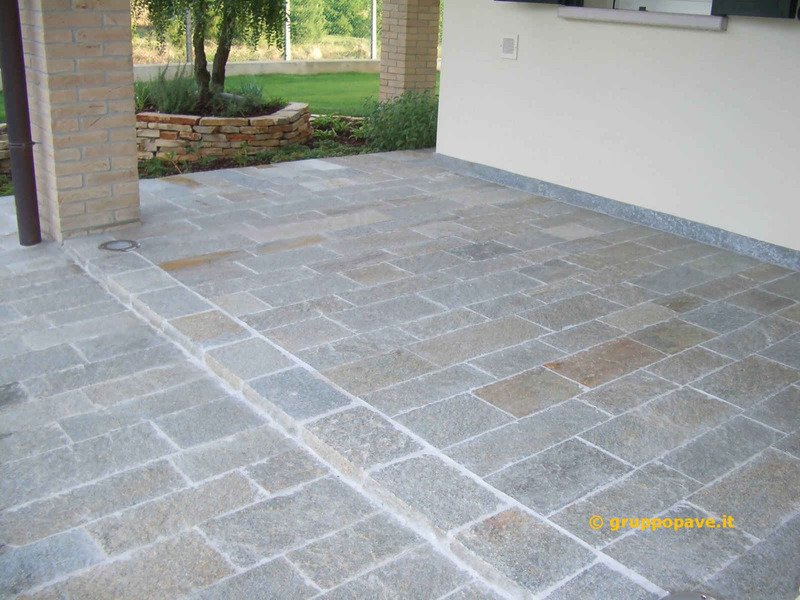 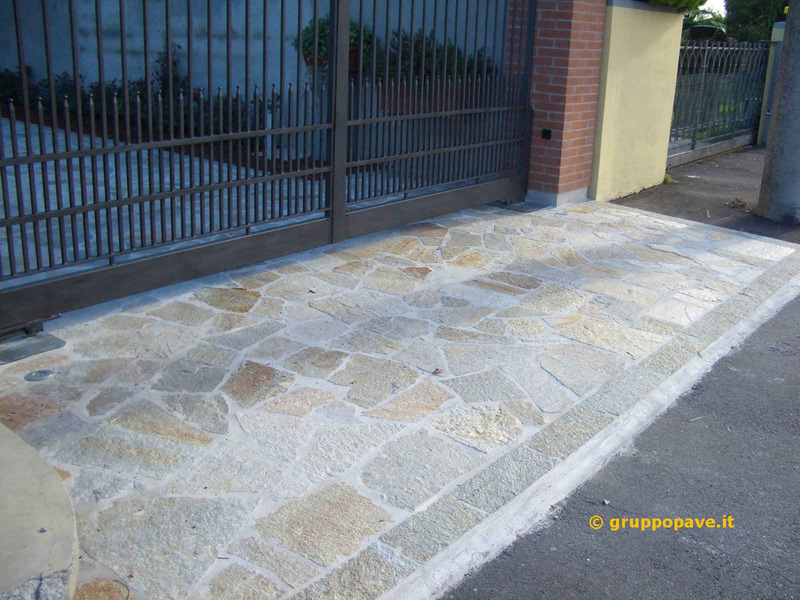 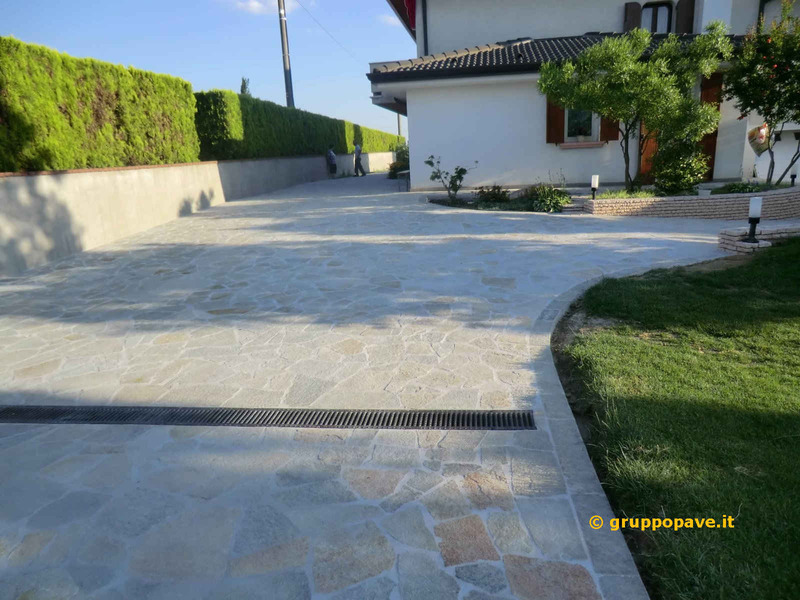 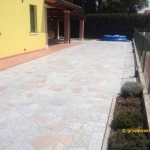 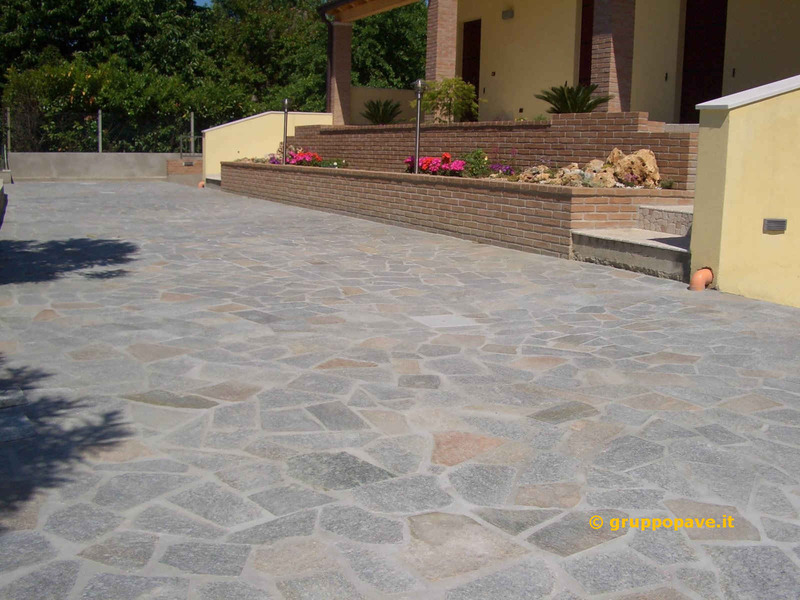 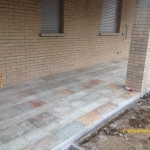 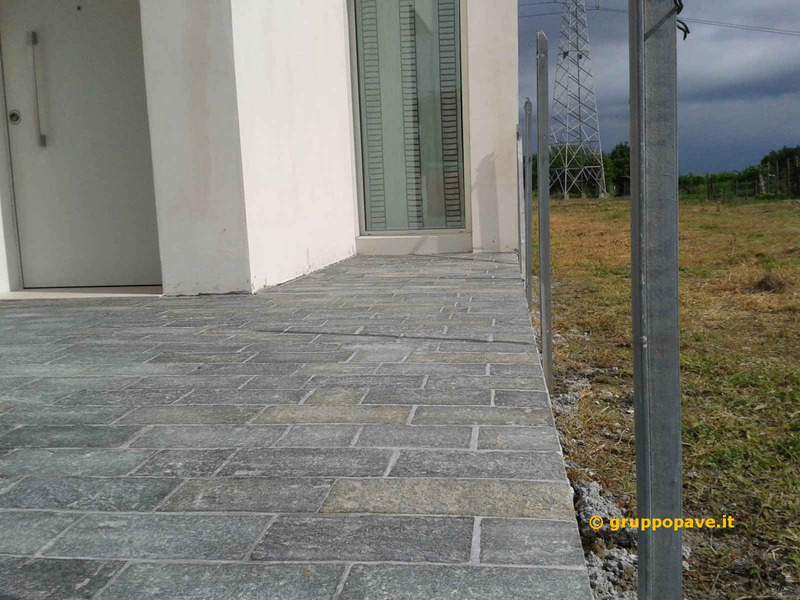 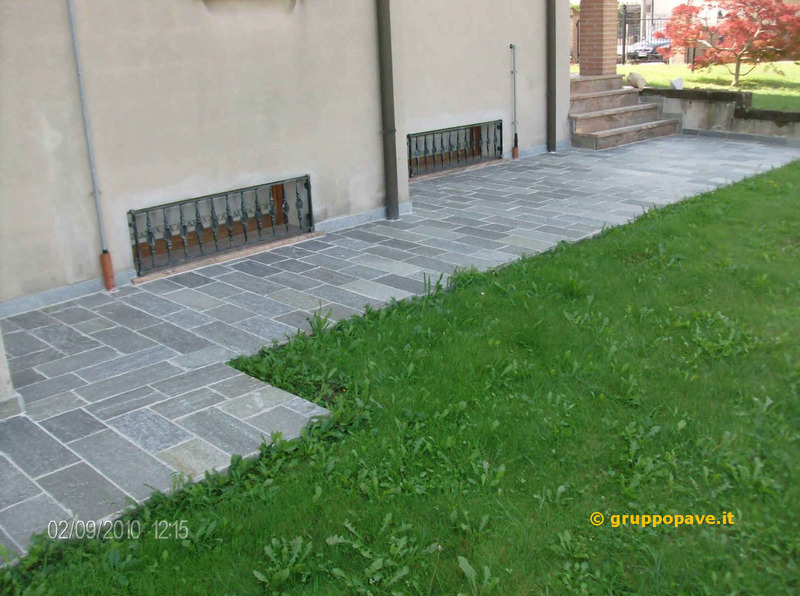 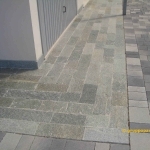 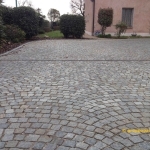 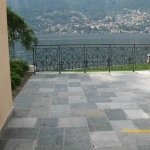 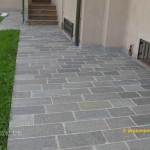 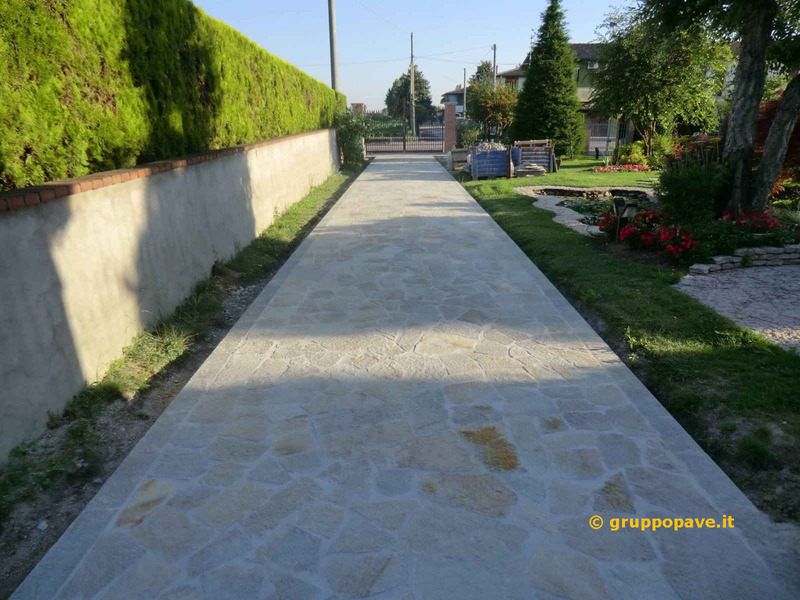 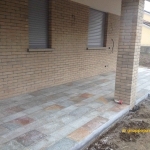 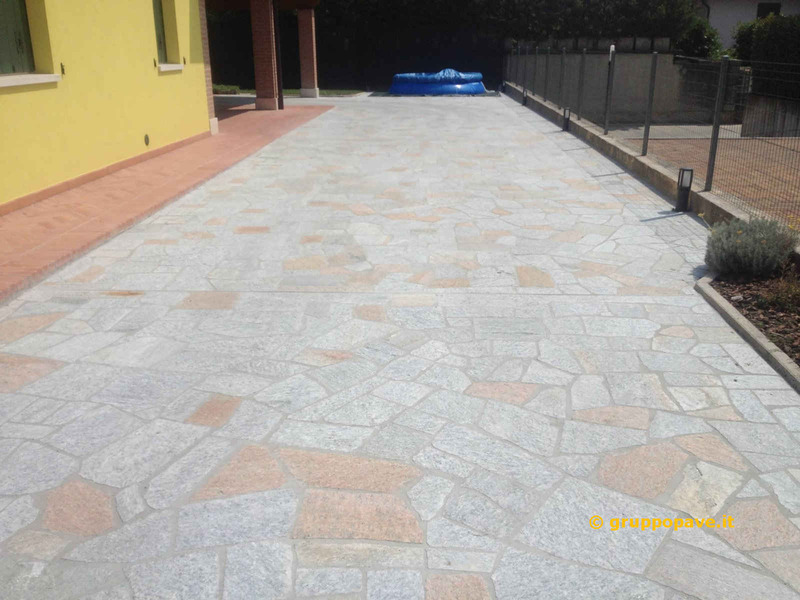 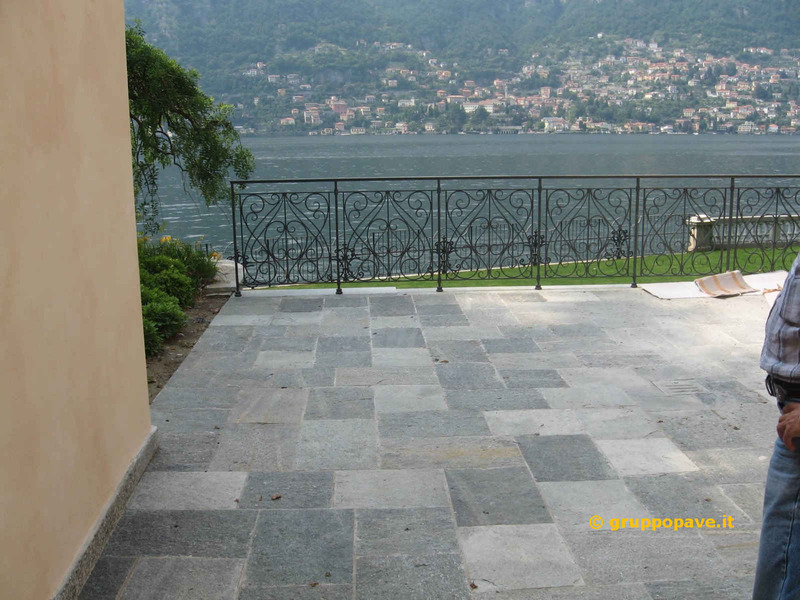 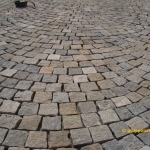 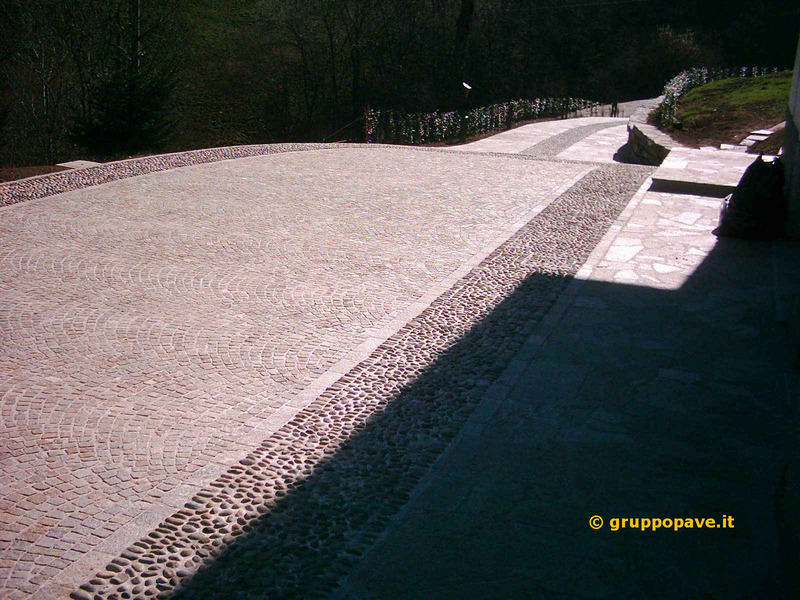 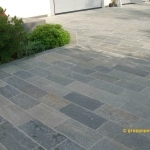 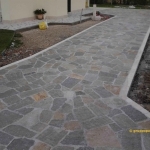 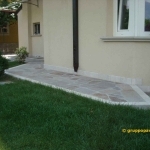 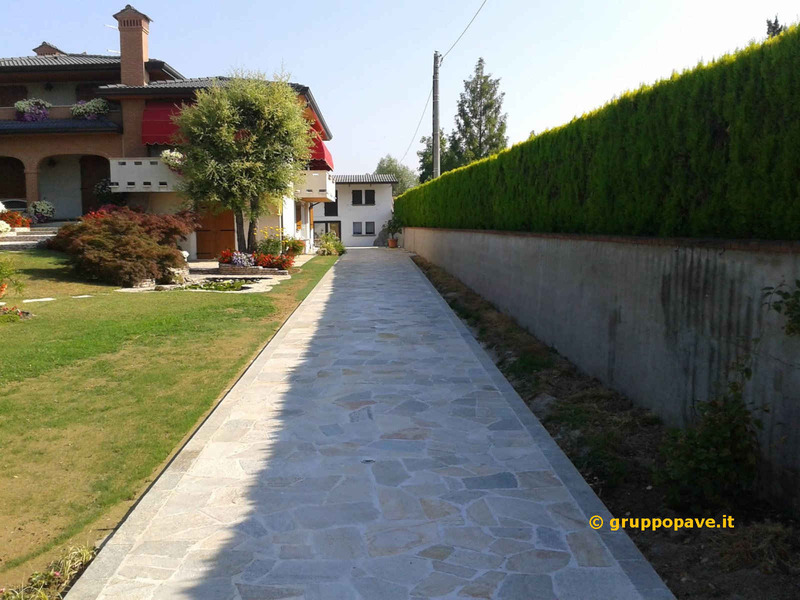 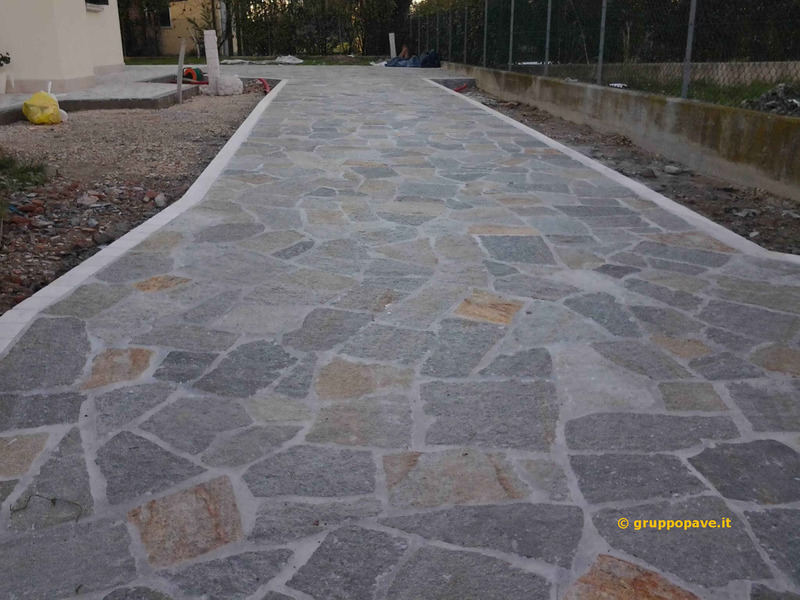 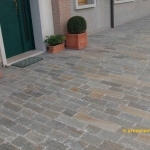 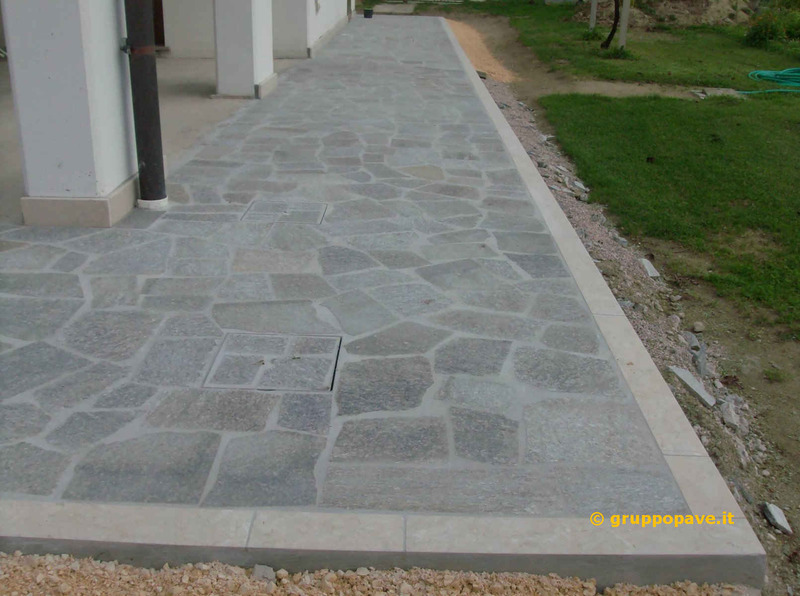 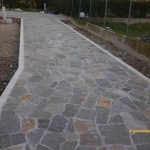 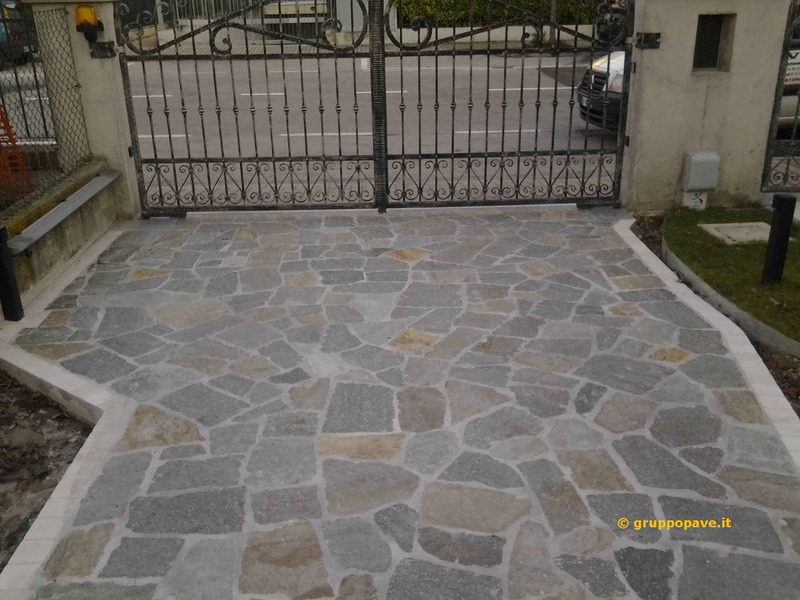 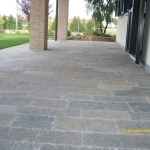 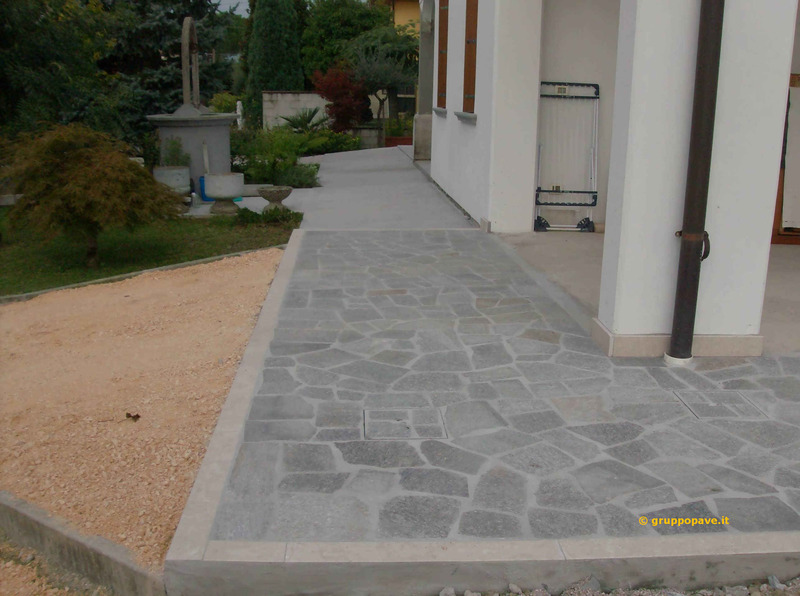 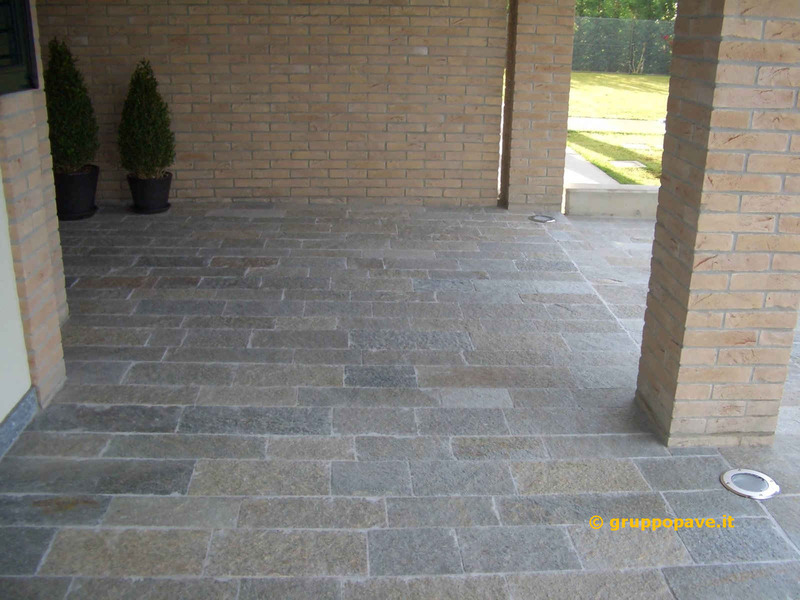 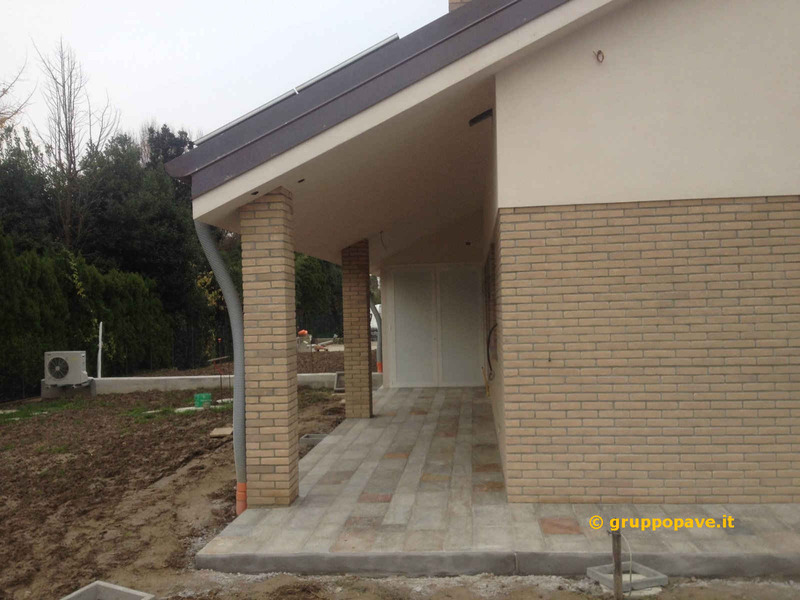 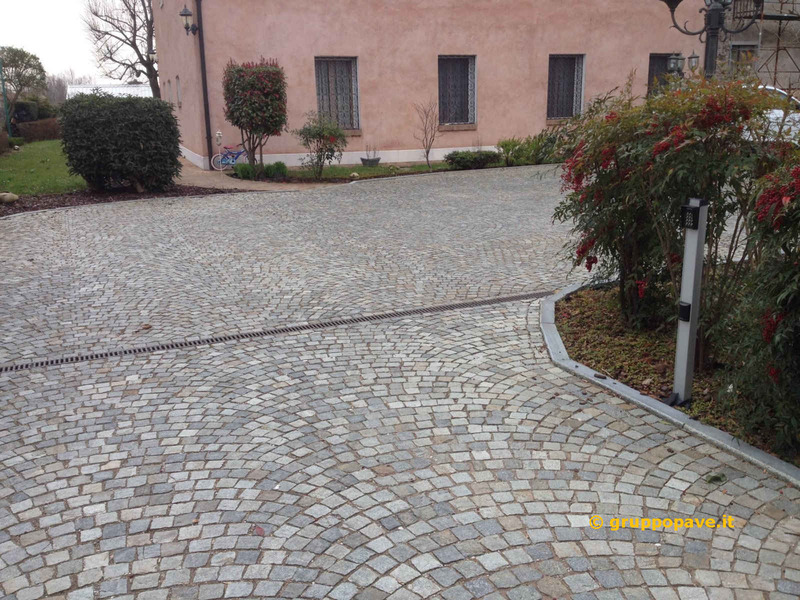 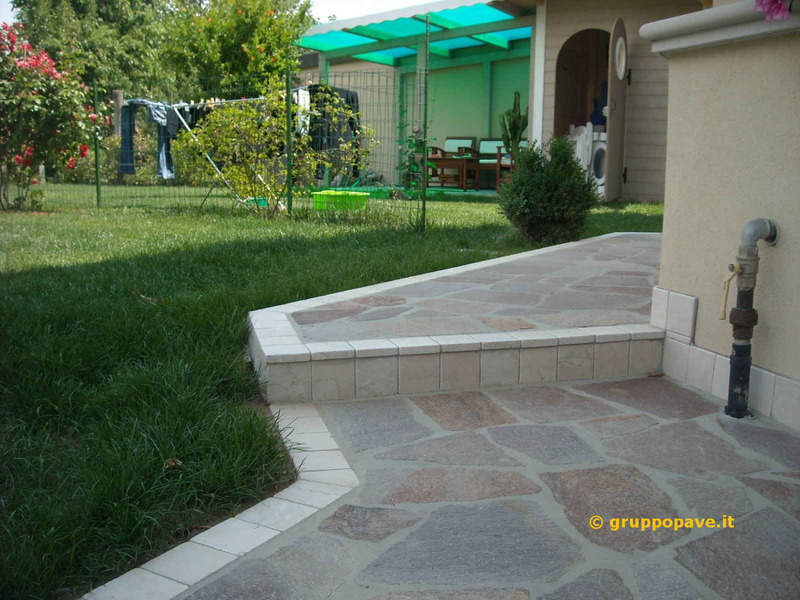 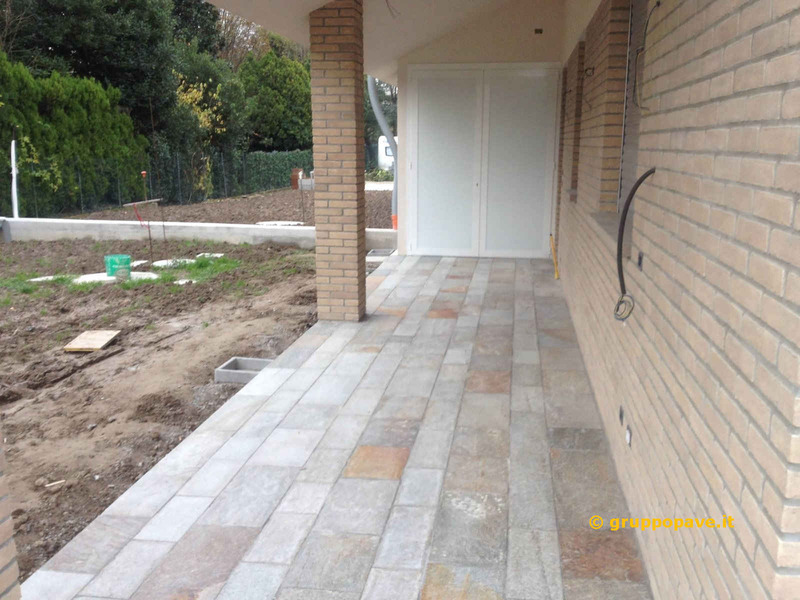 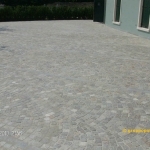 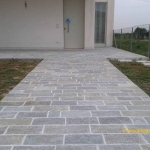 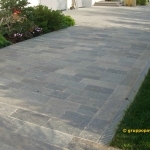 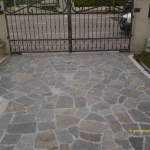 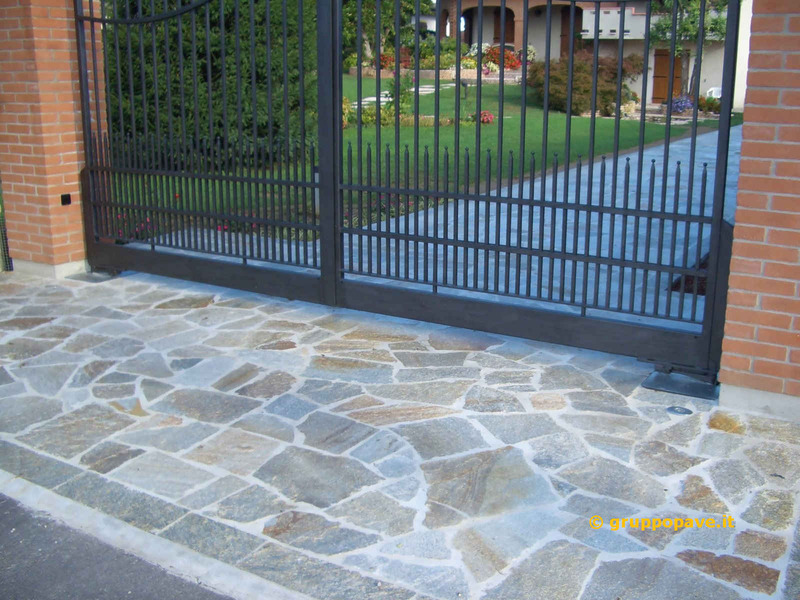 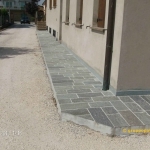 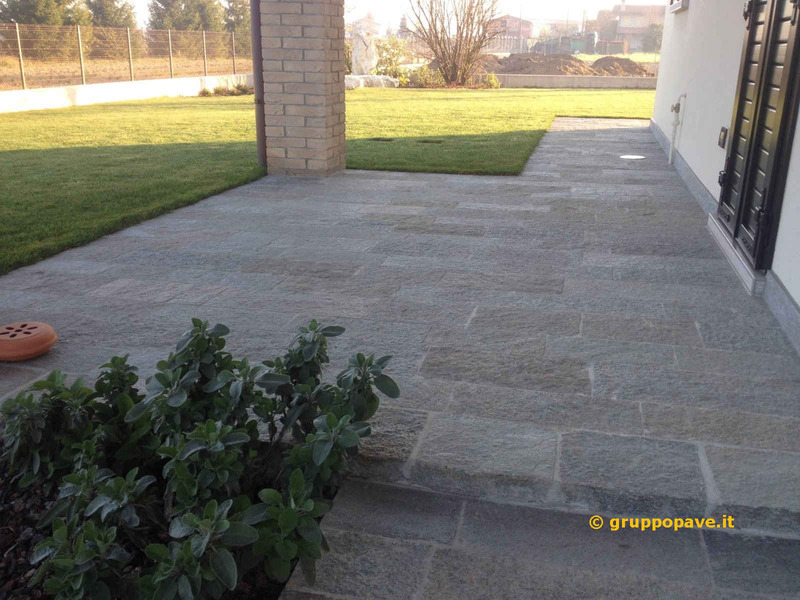 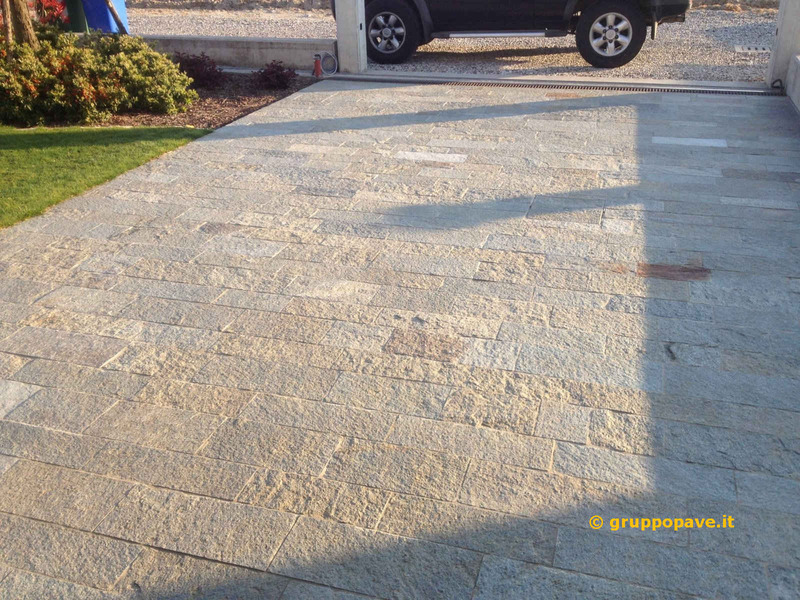 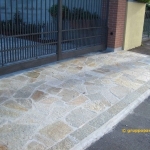 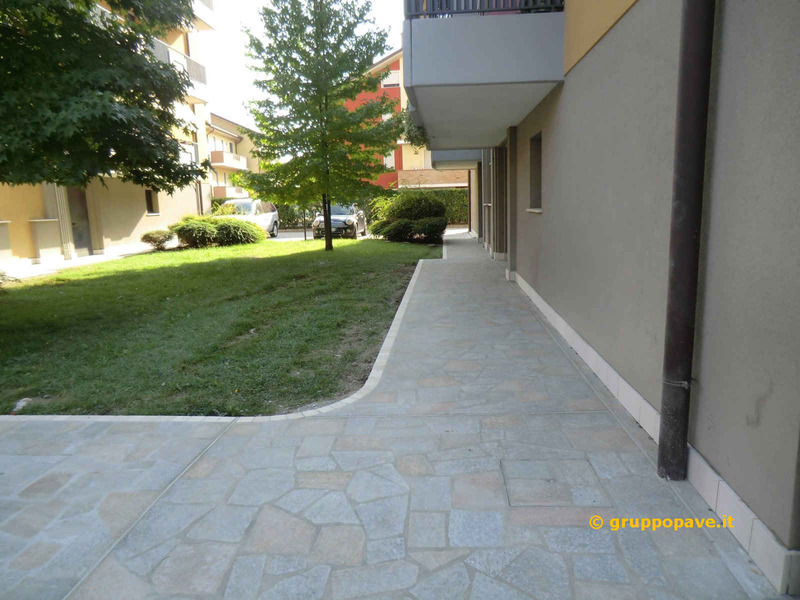 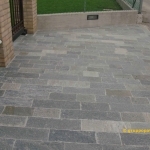 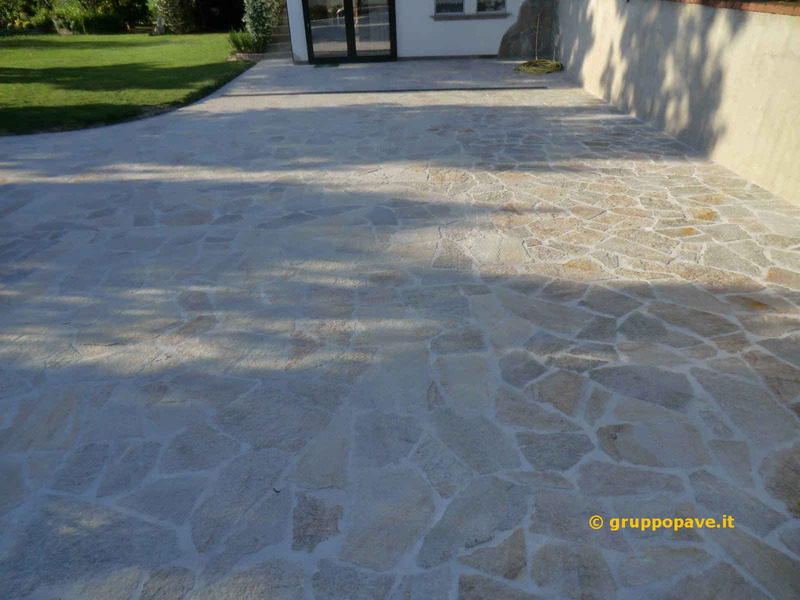 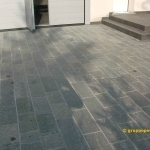 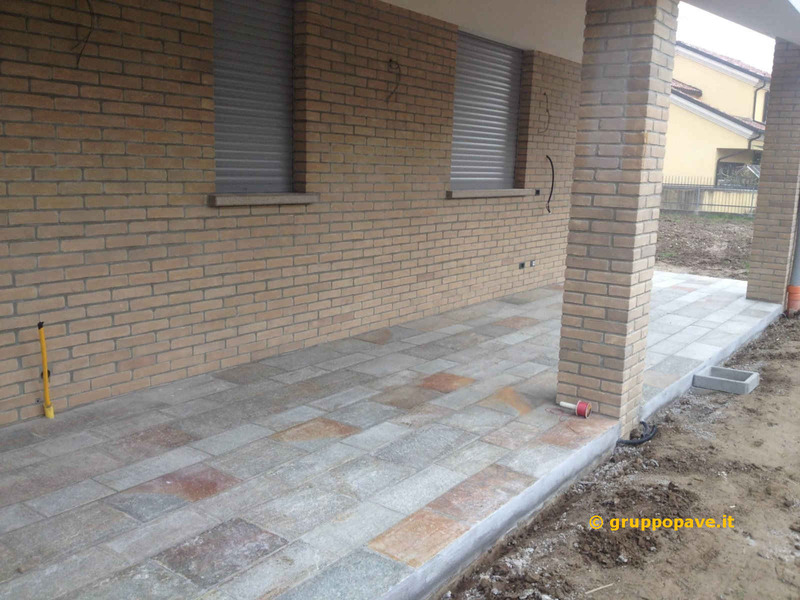 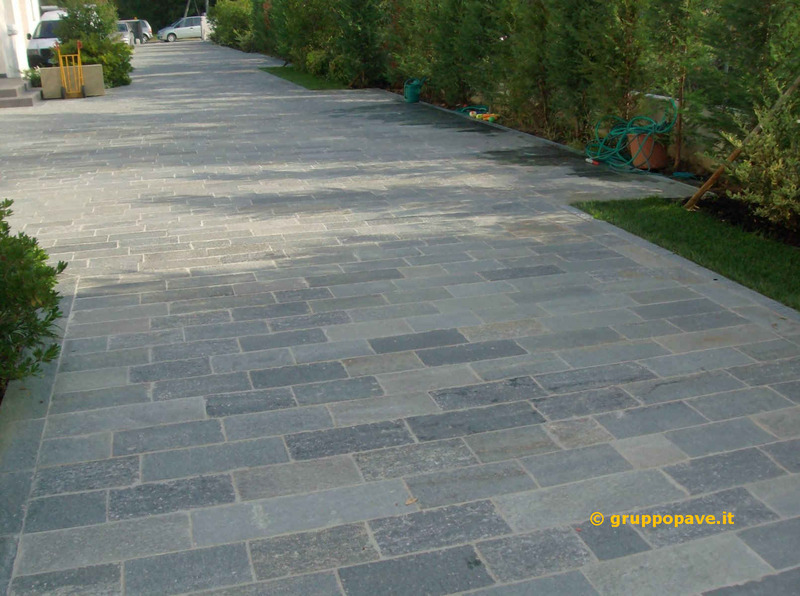 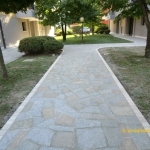 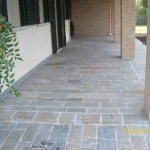 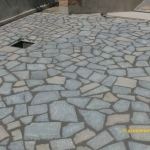 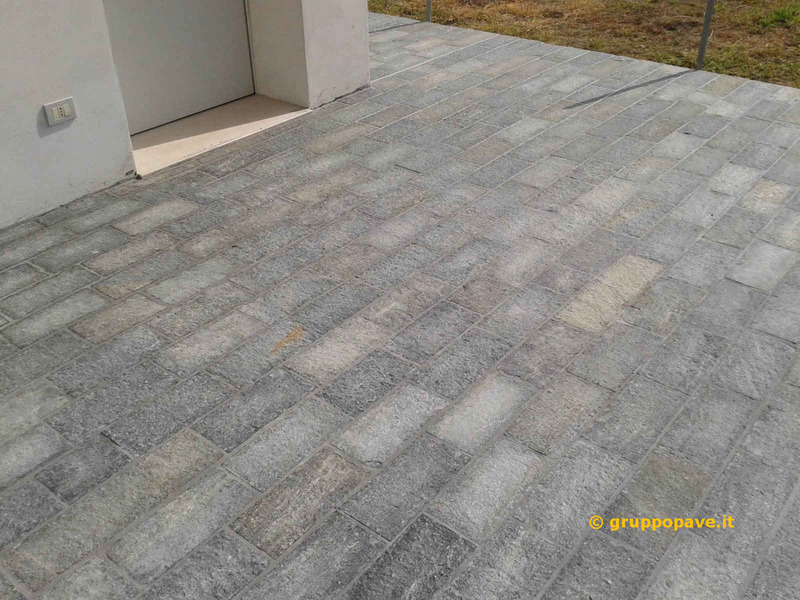 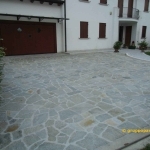 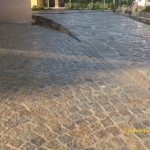 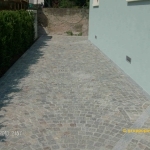 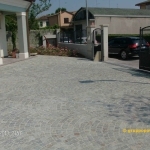 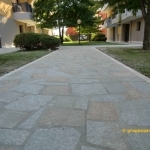 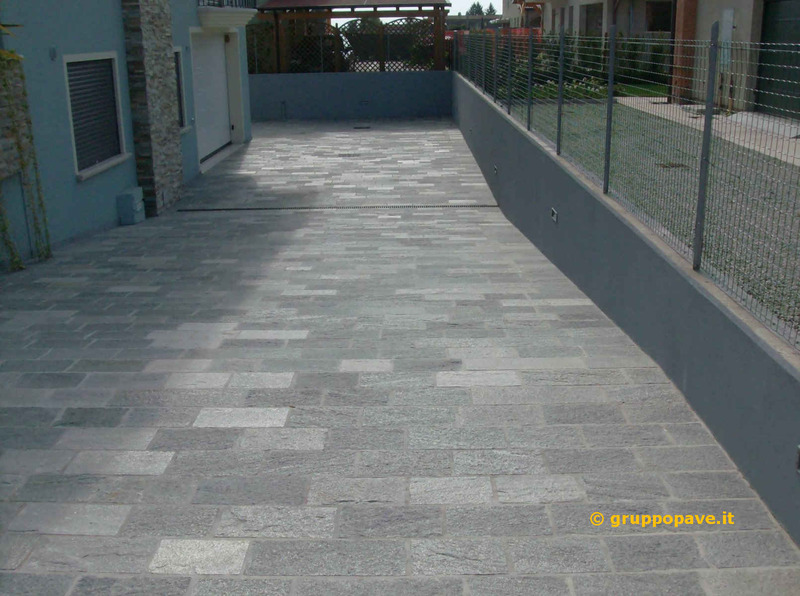 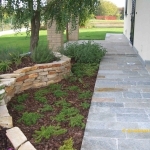 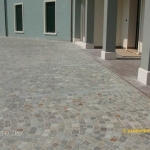 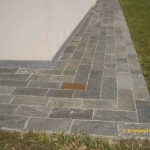 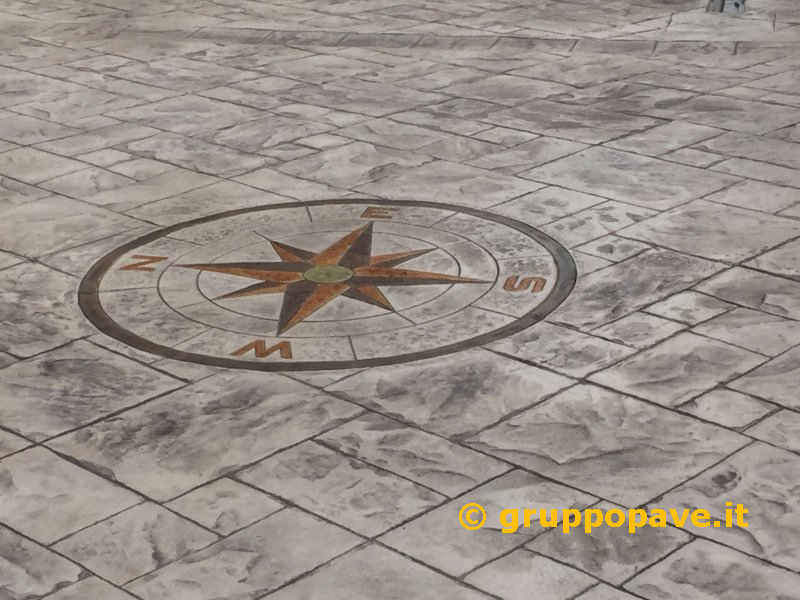 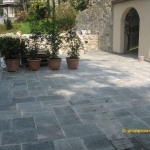 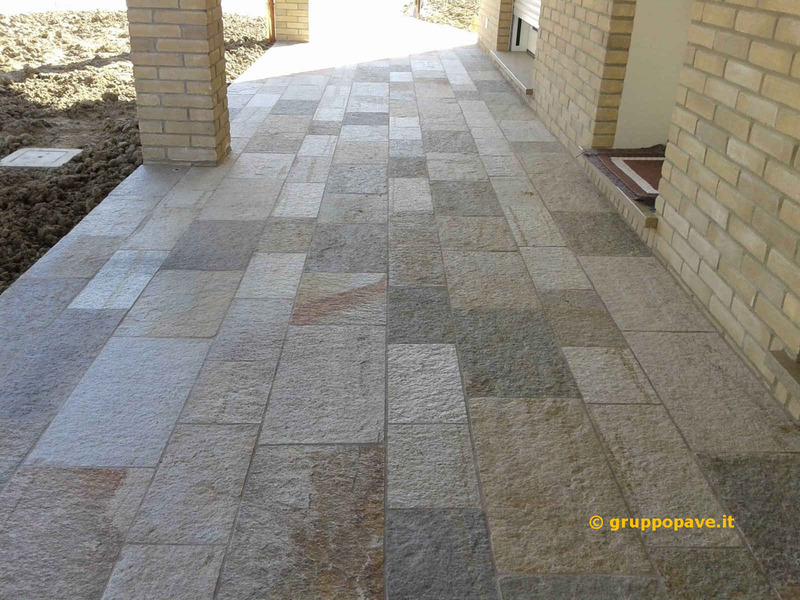 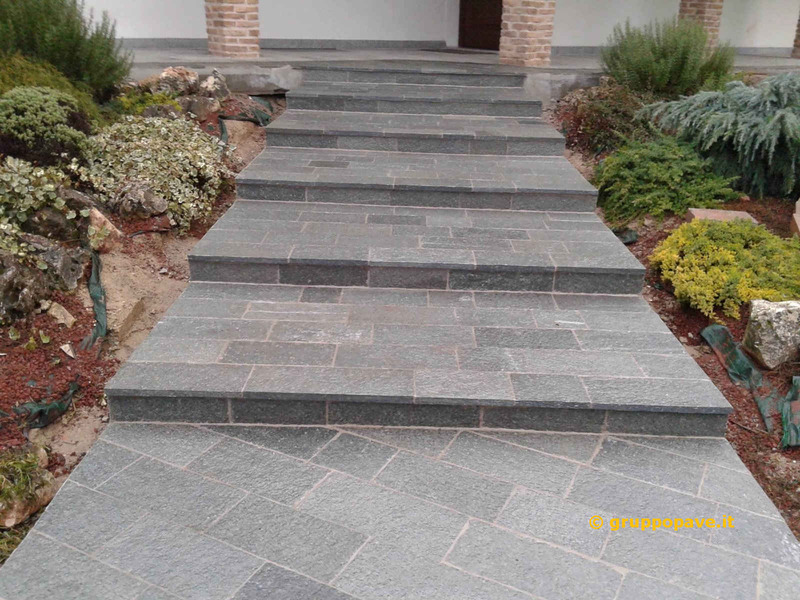 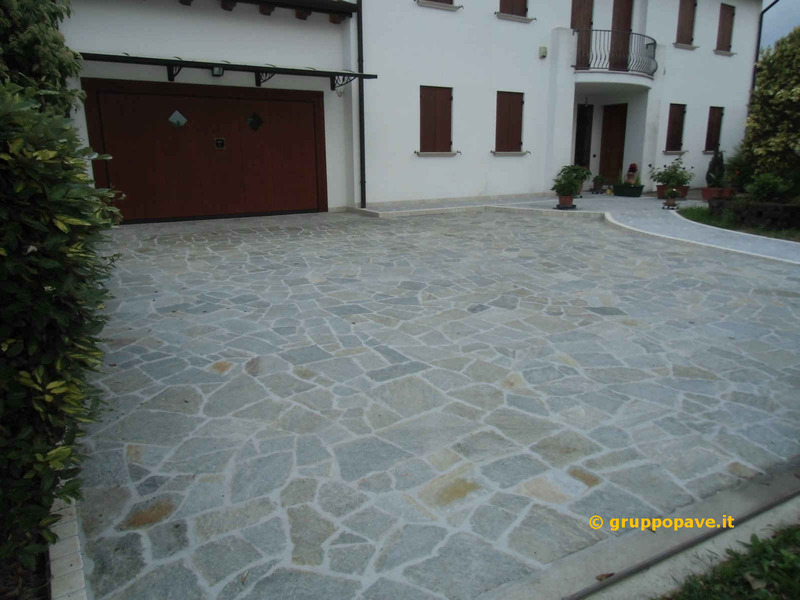 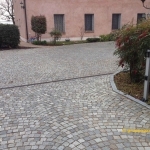 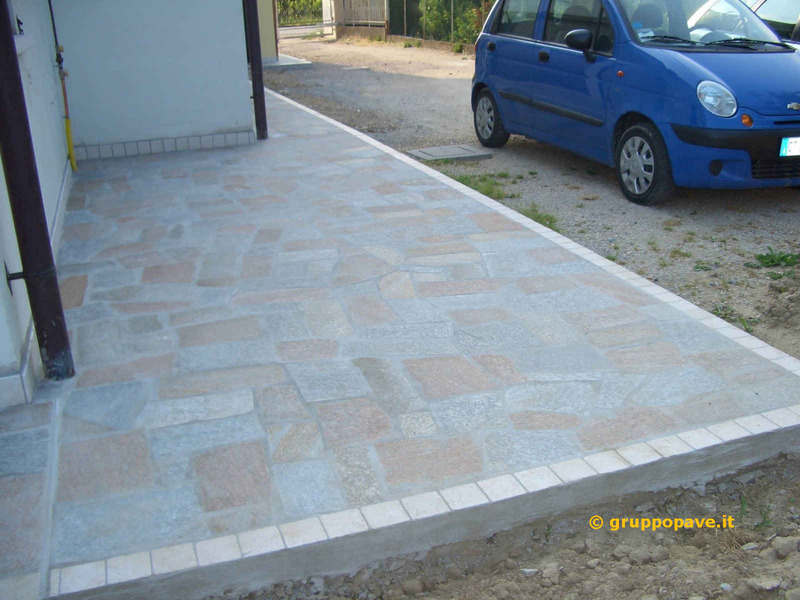 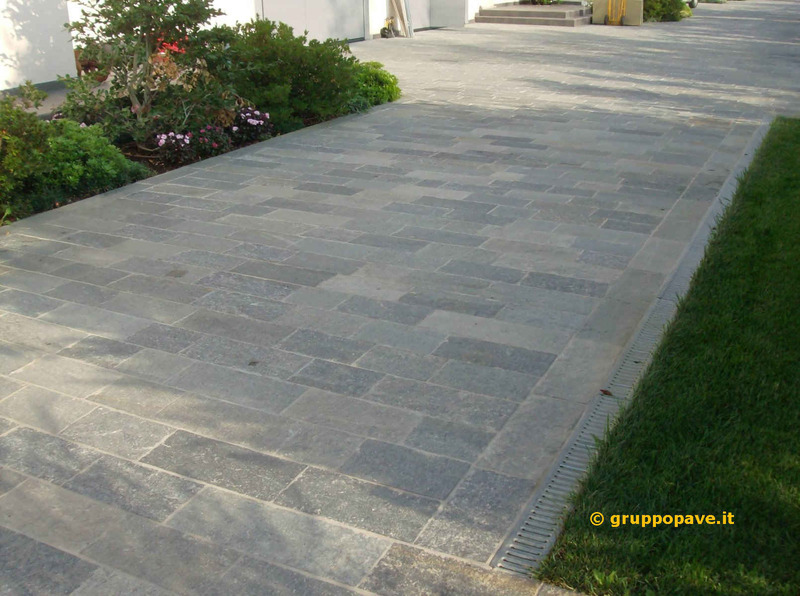 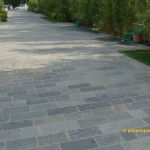 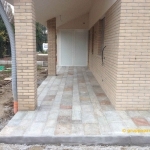 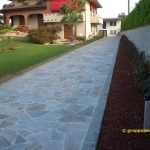 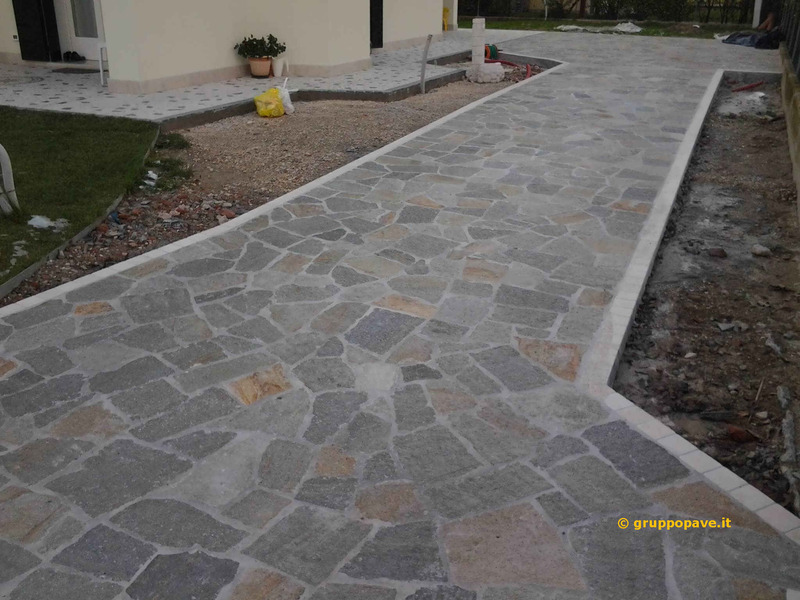 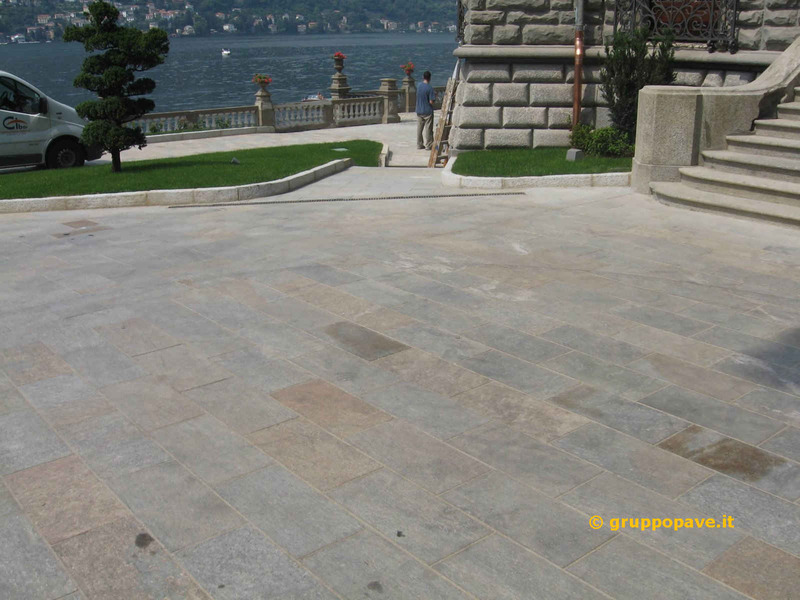 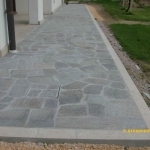 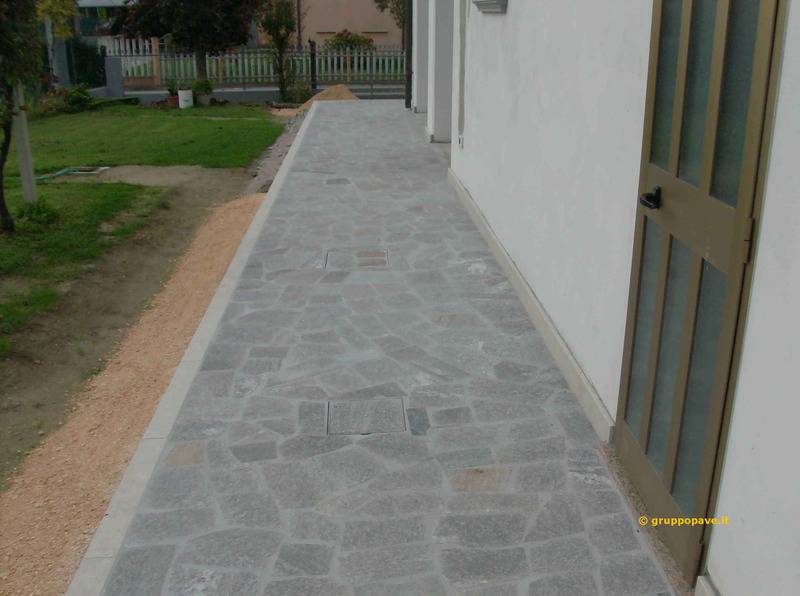 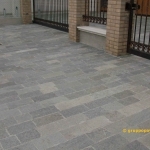 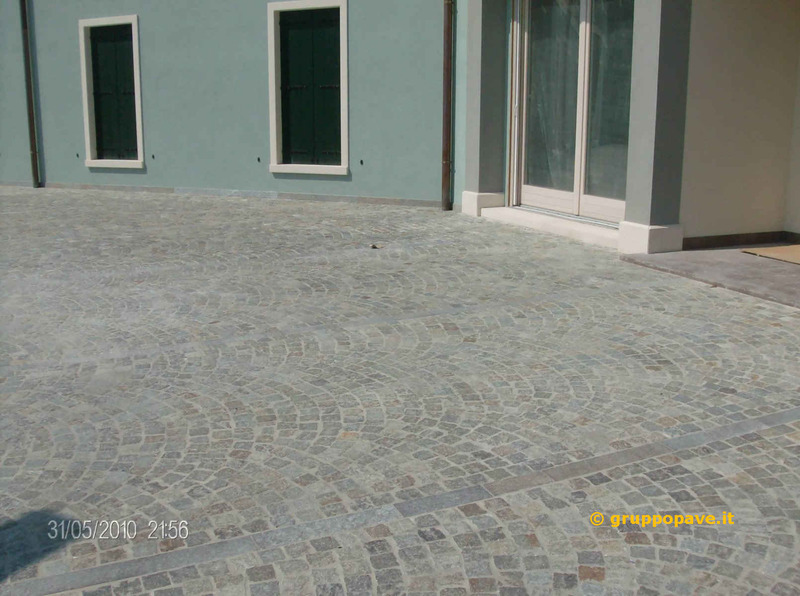 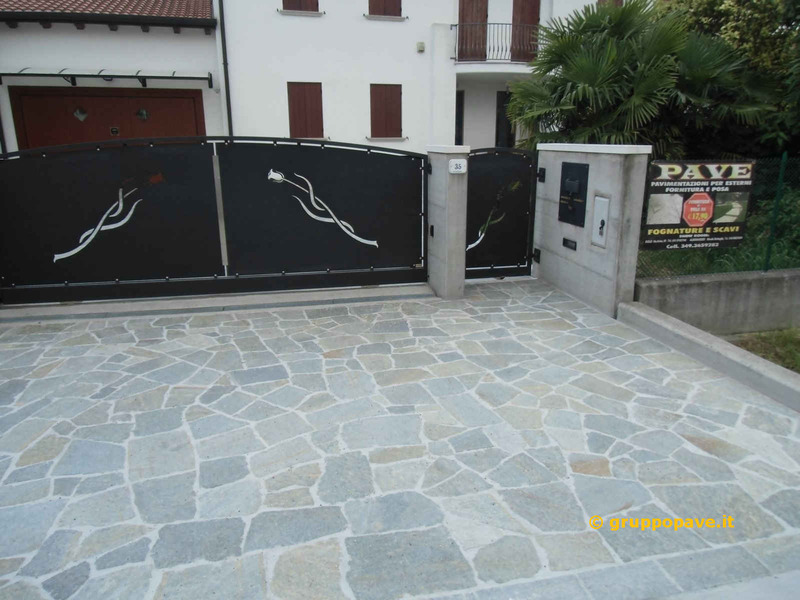 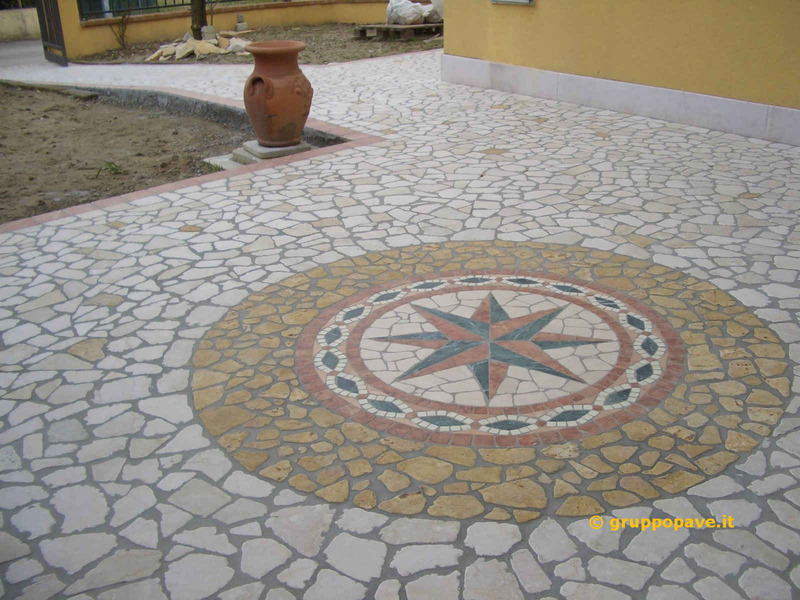 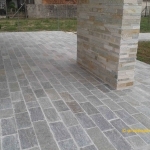 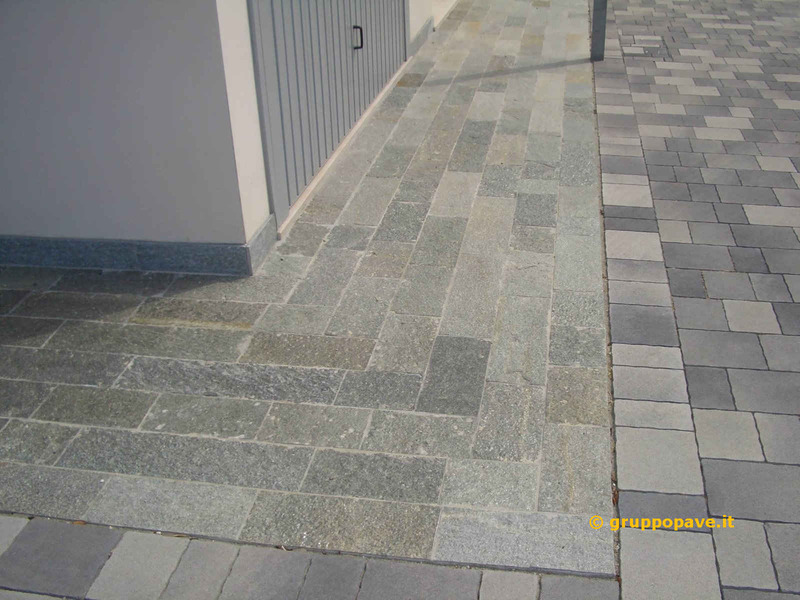 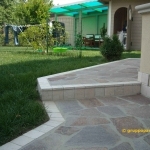 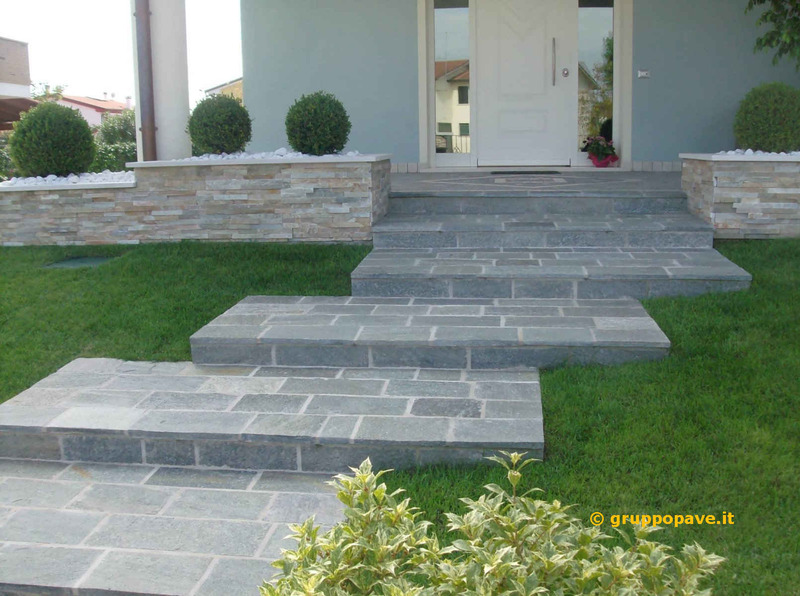 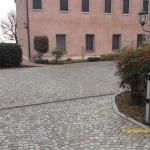 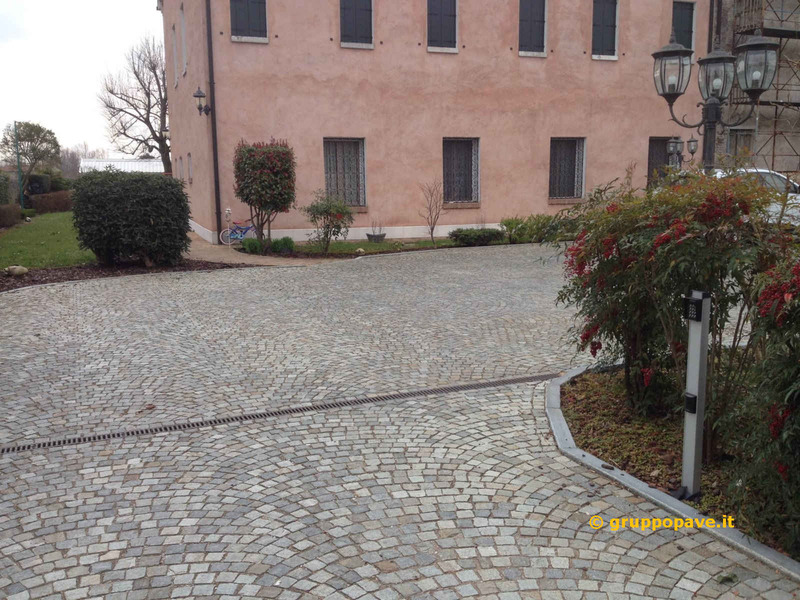 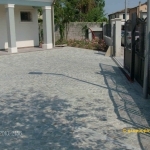 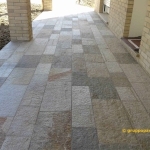 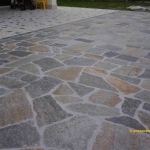 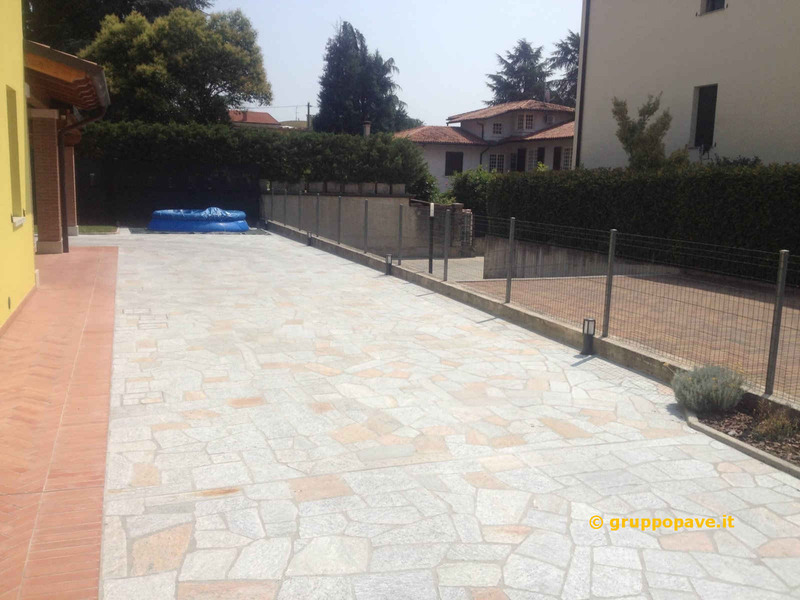 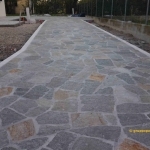 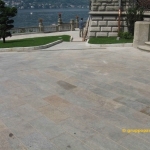 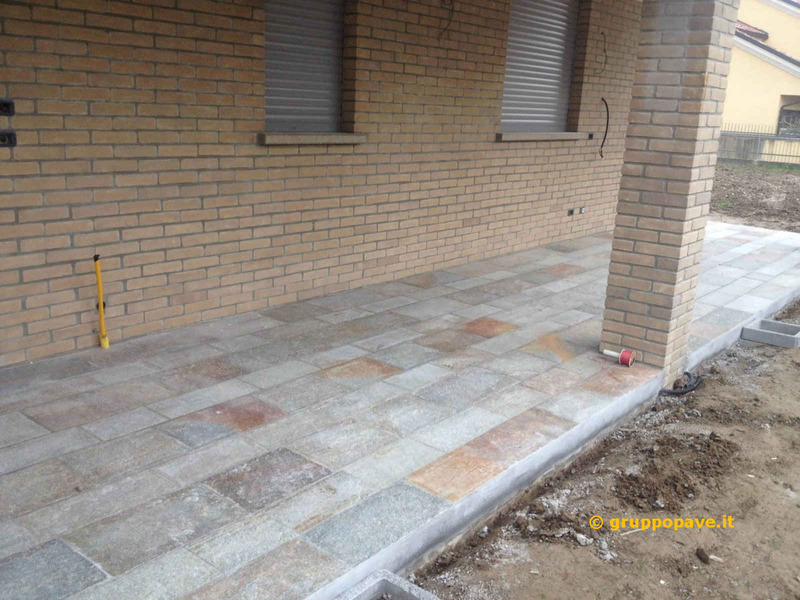 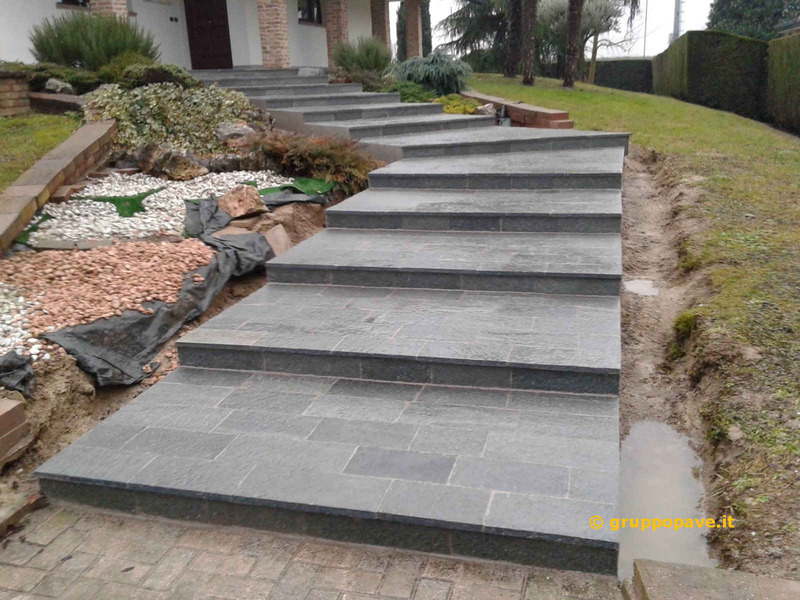 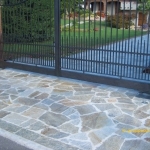 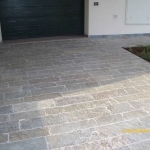 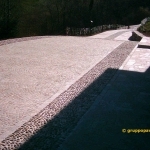 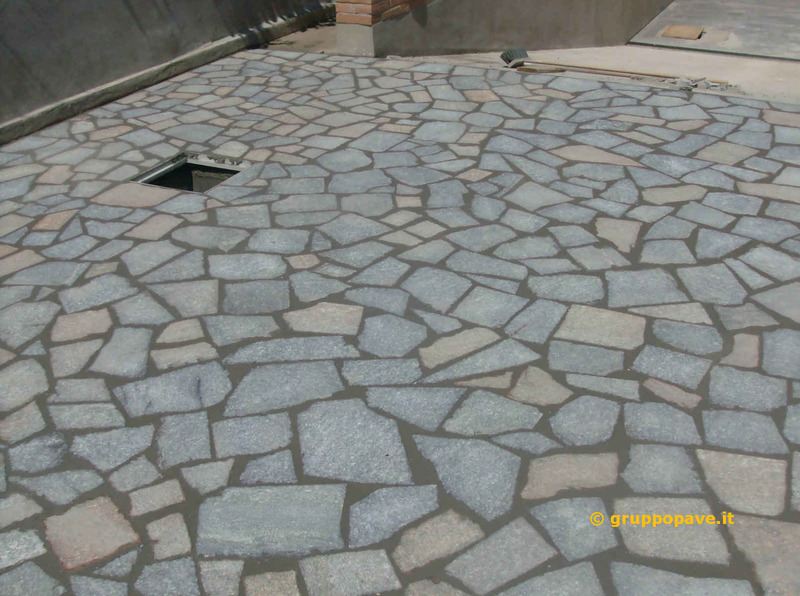 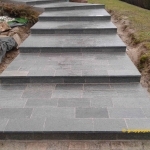 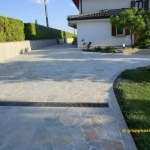 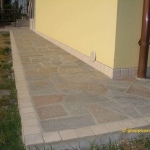 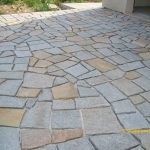 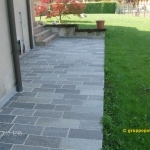 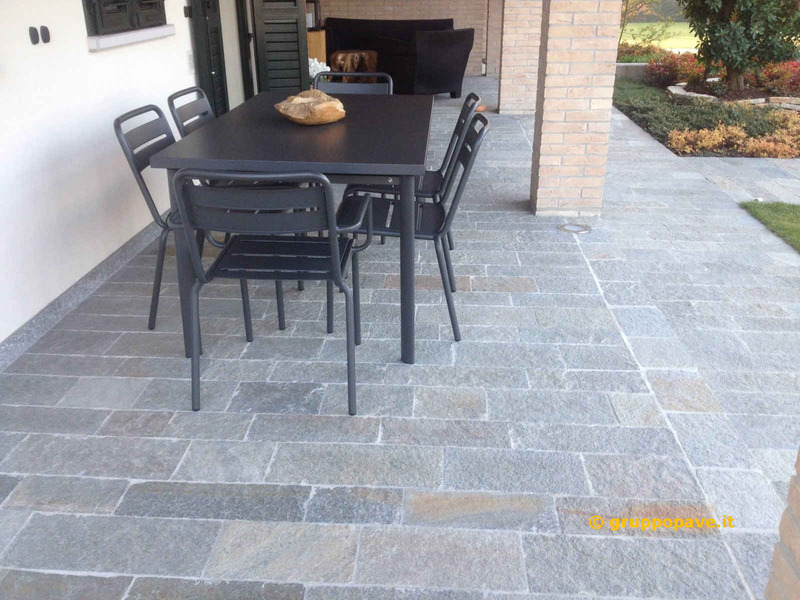 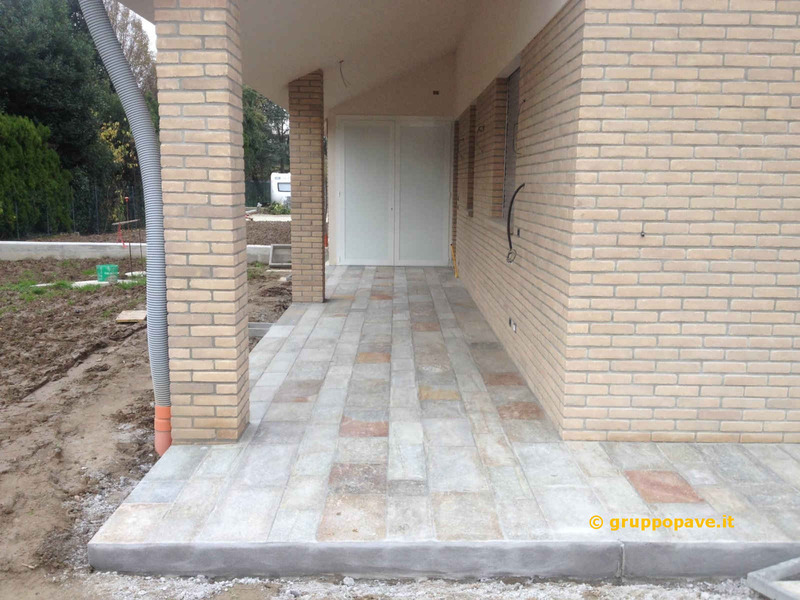 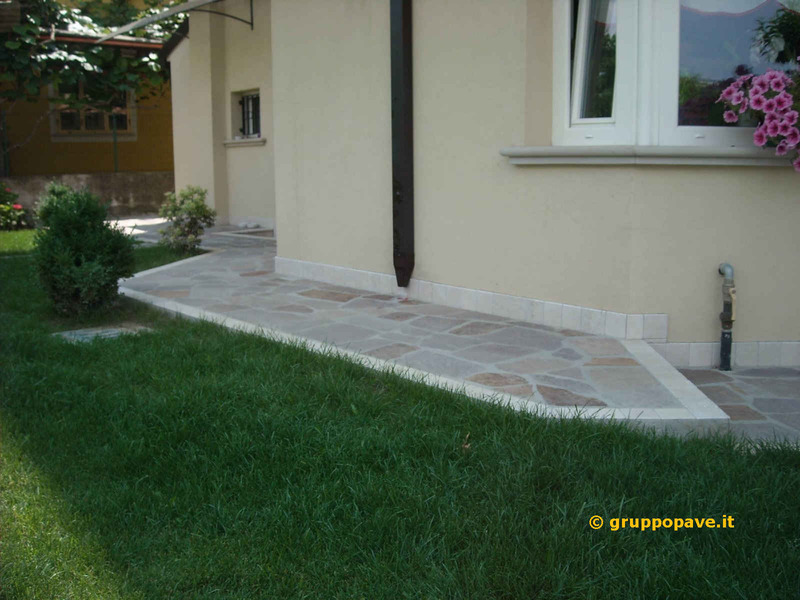 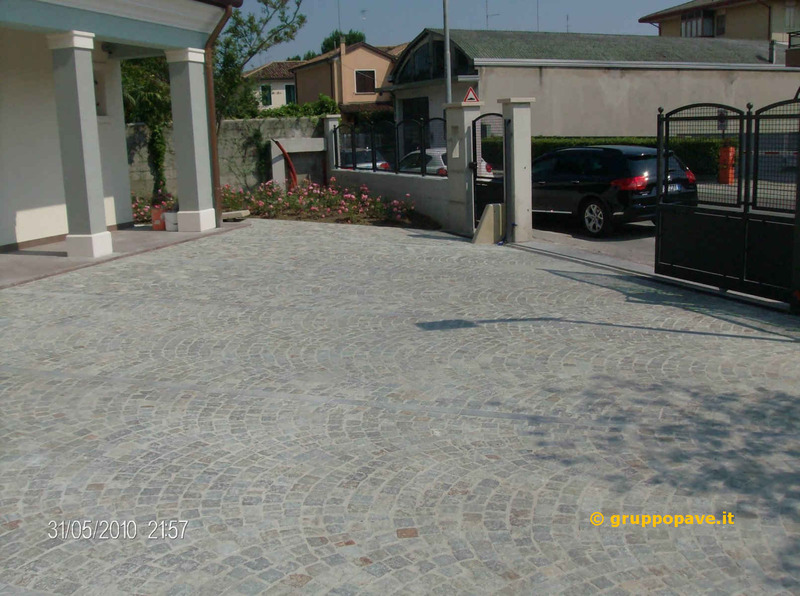 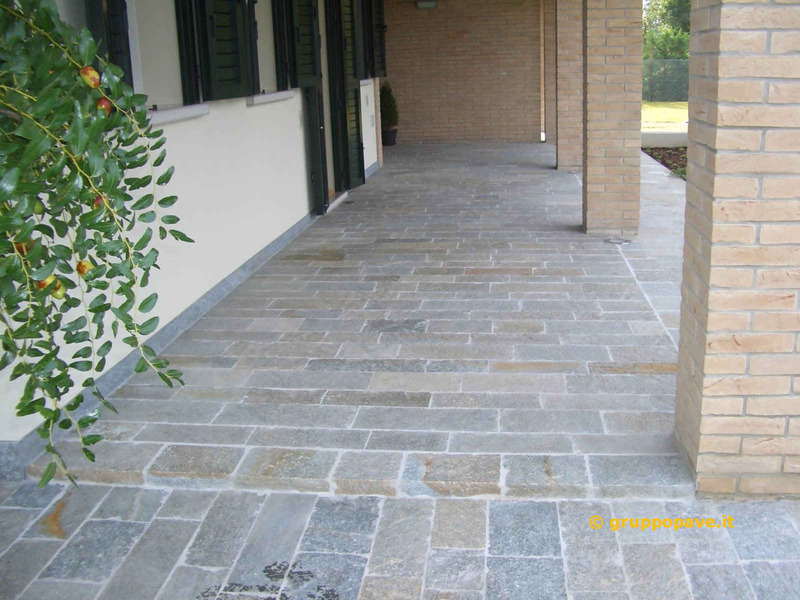 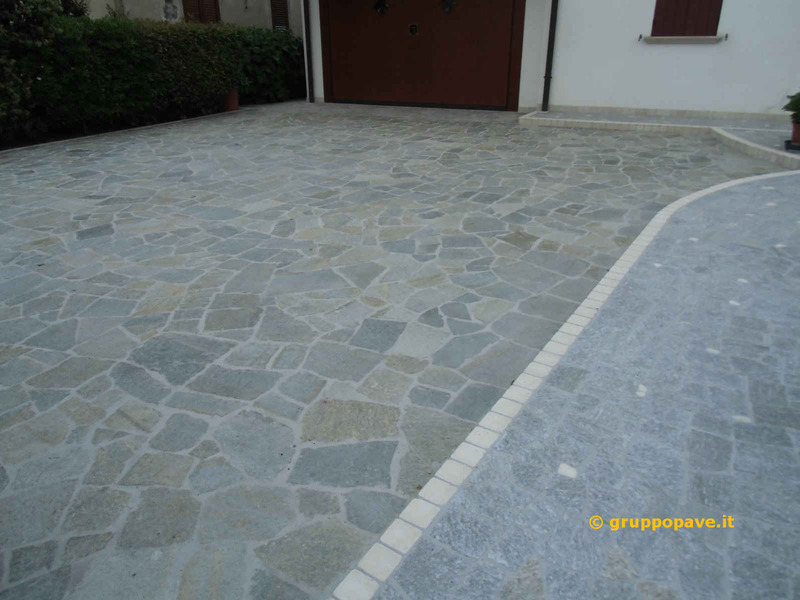 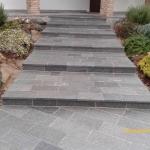 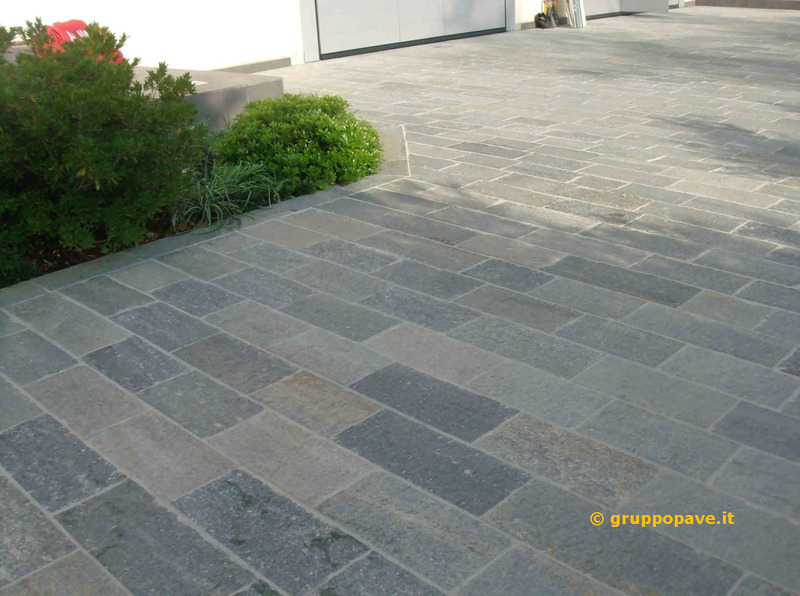 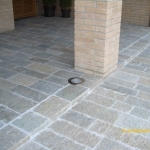 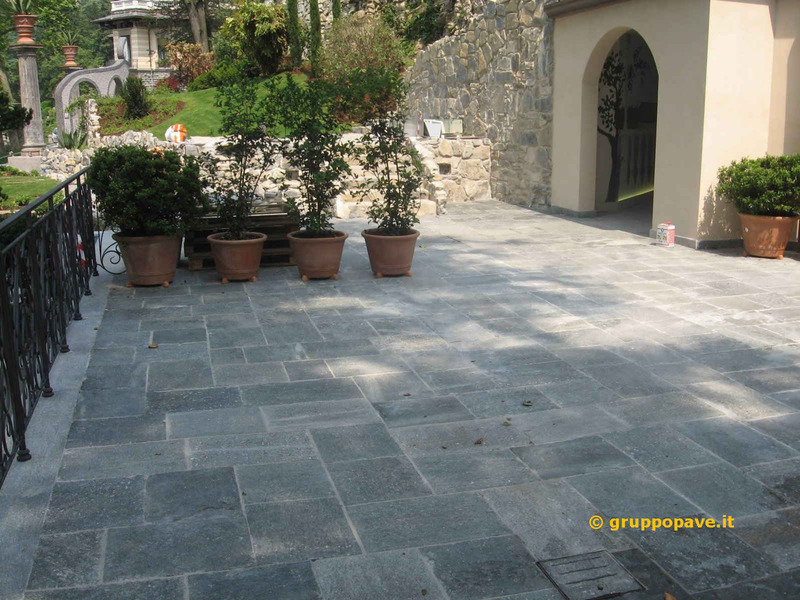 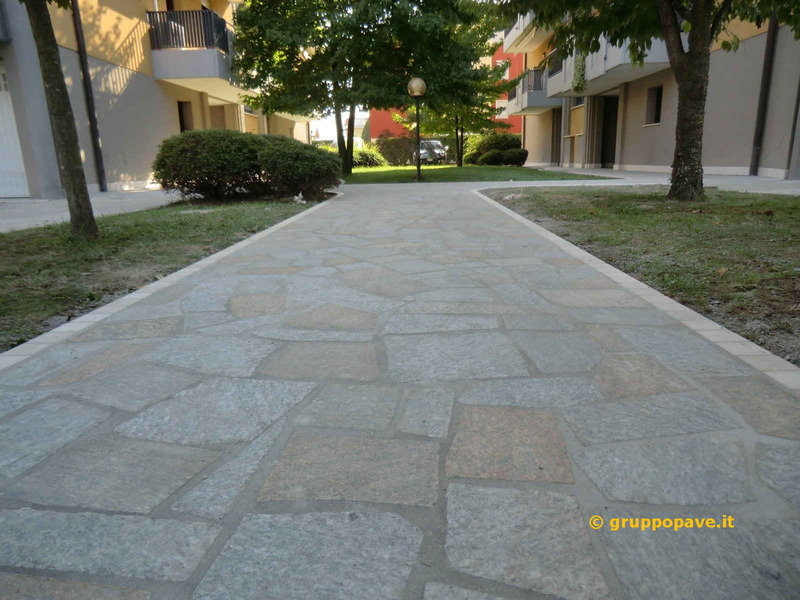 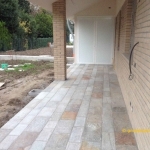 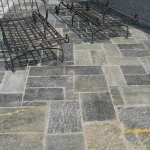 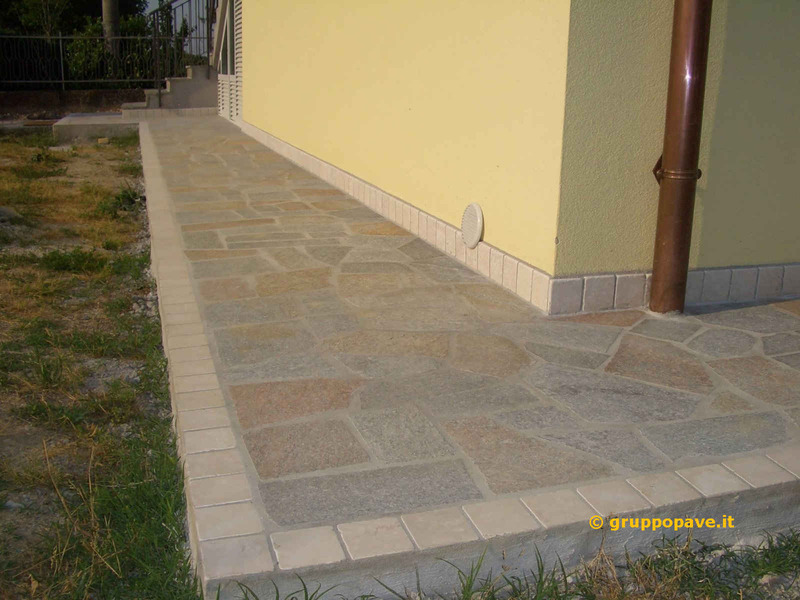 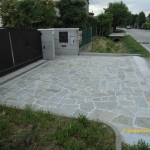 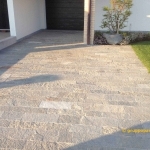 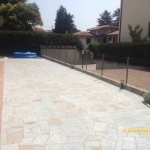 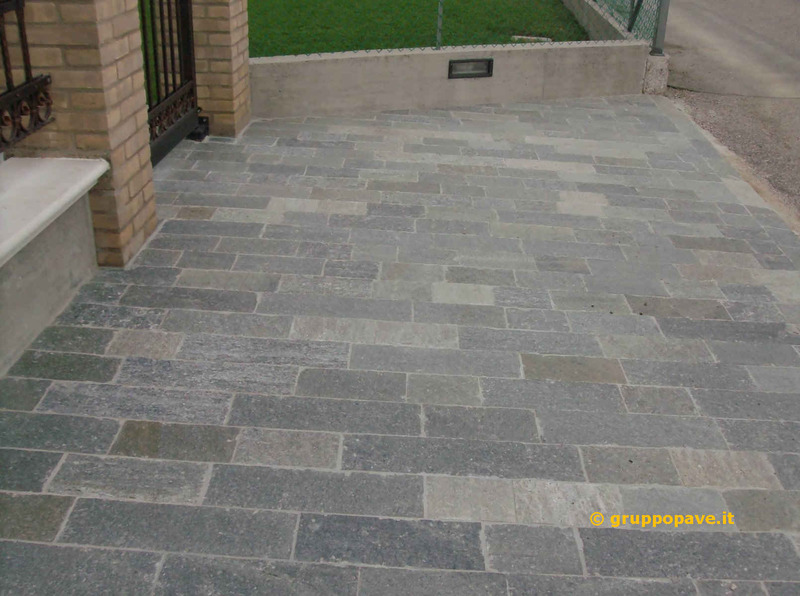 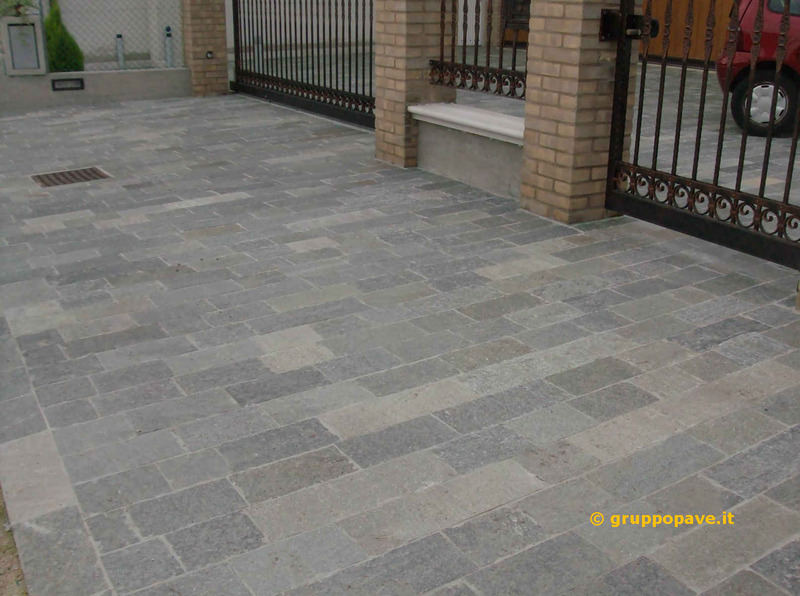 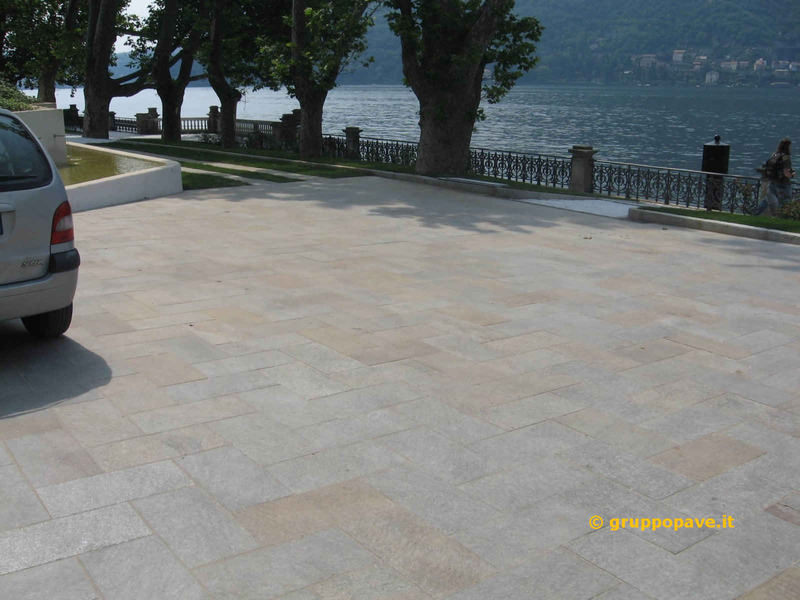 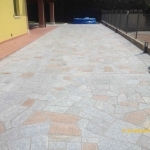 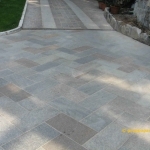 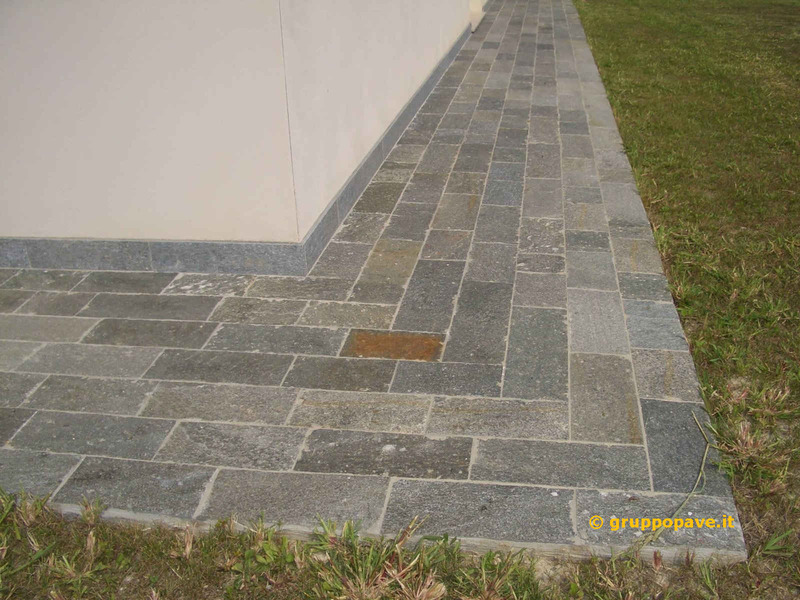 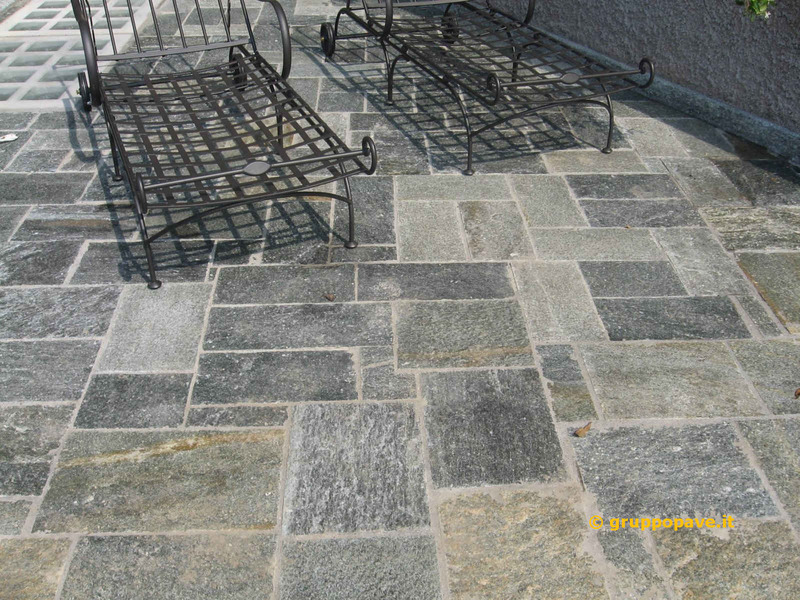 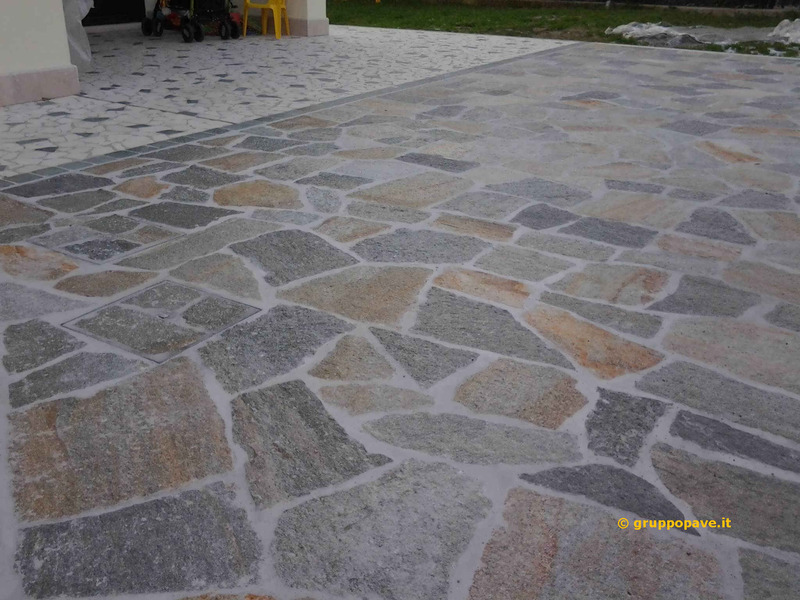 The natural roughness of Luserna stone makes it no slippery material (in case of rain) very comfortable to be stamped on. 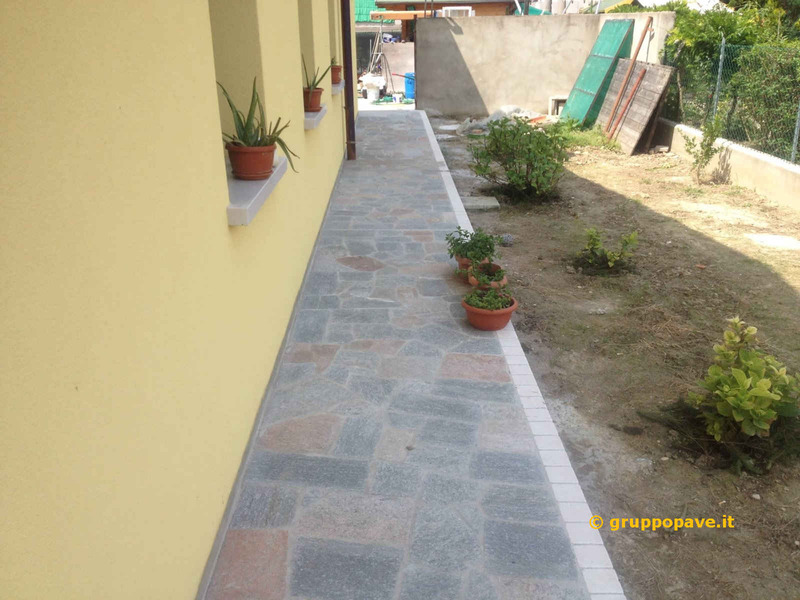 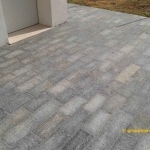 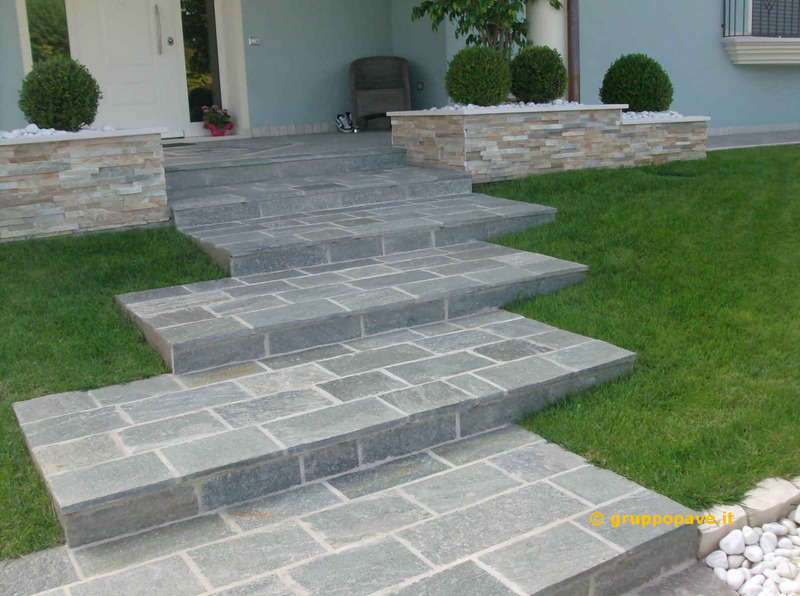 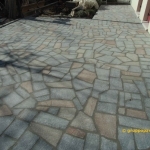 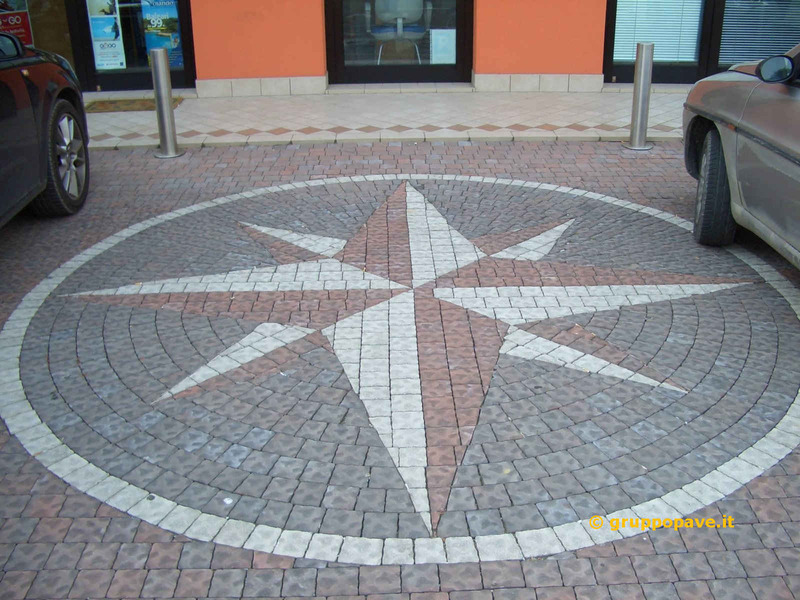 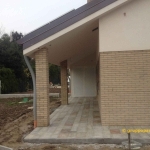 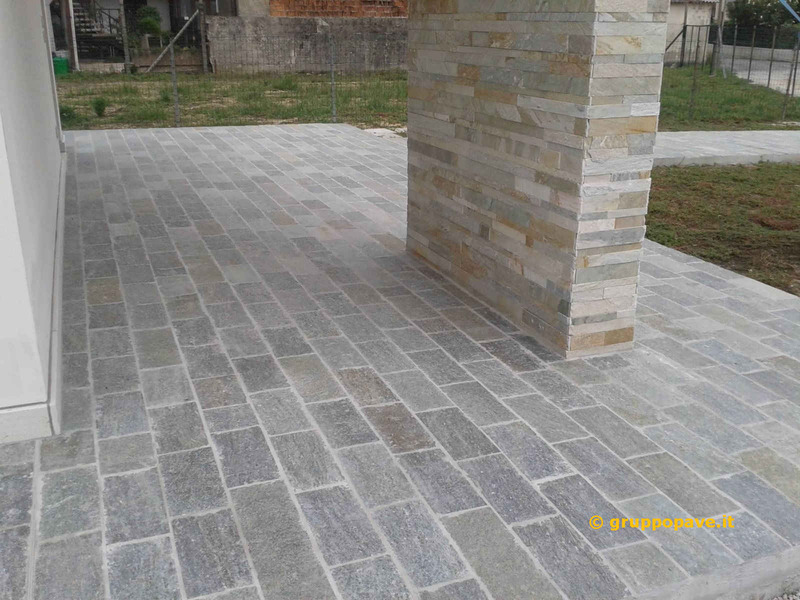 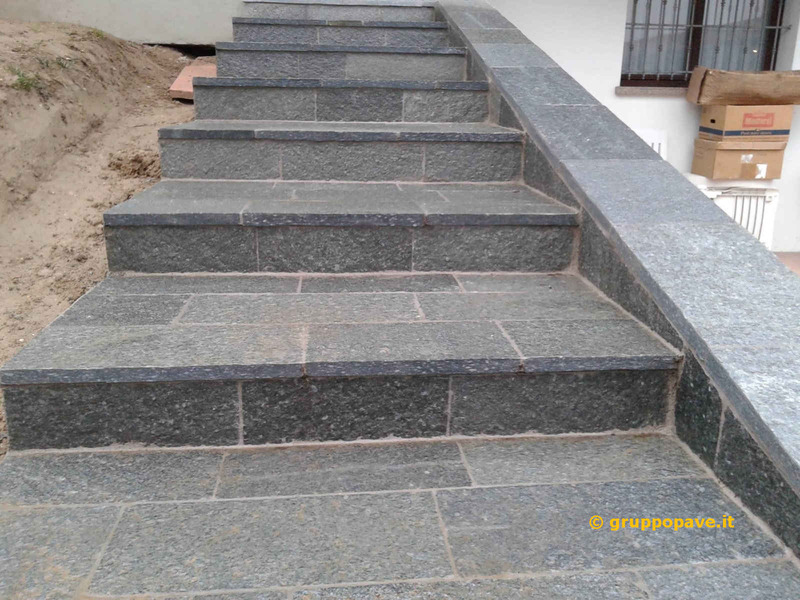 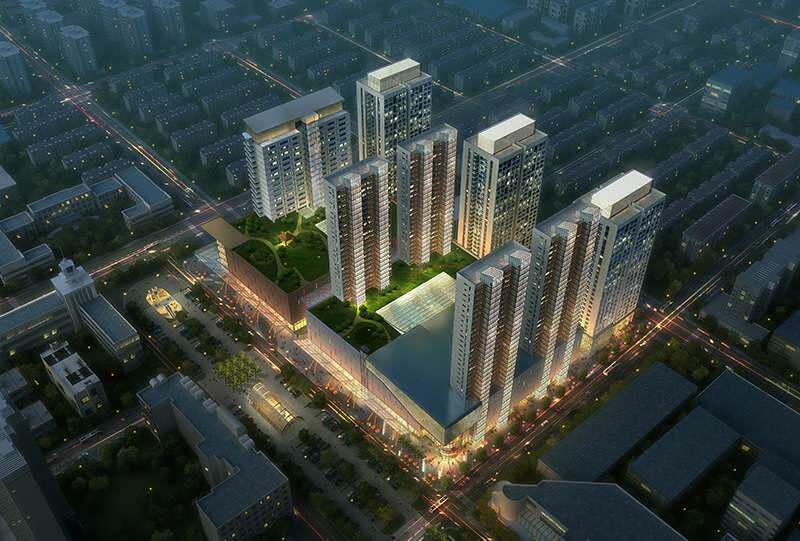 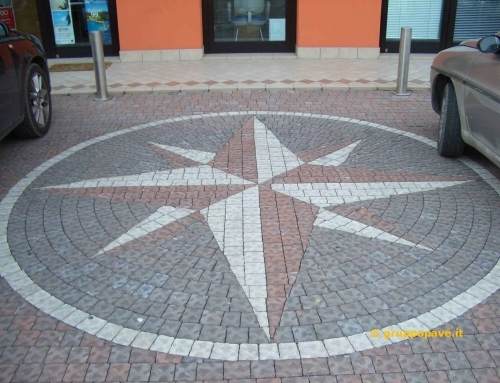 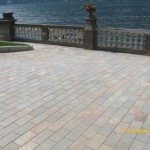 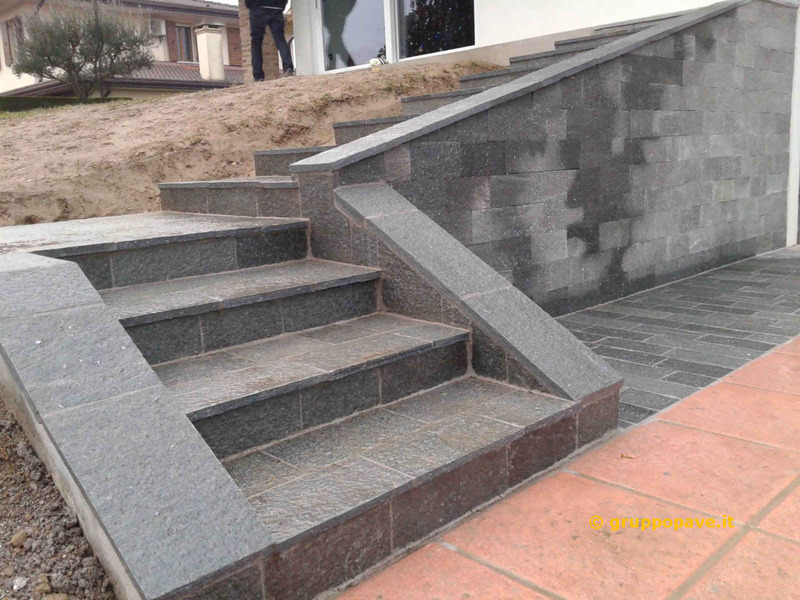 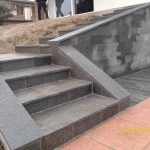 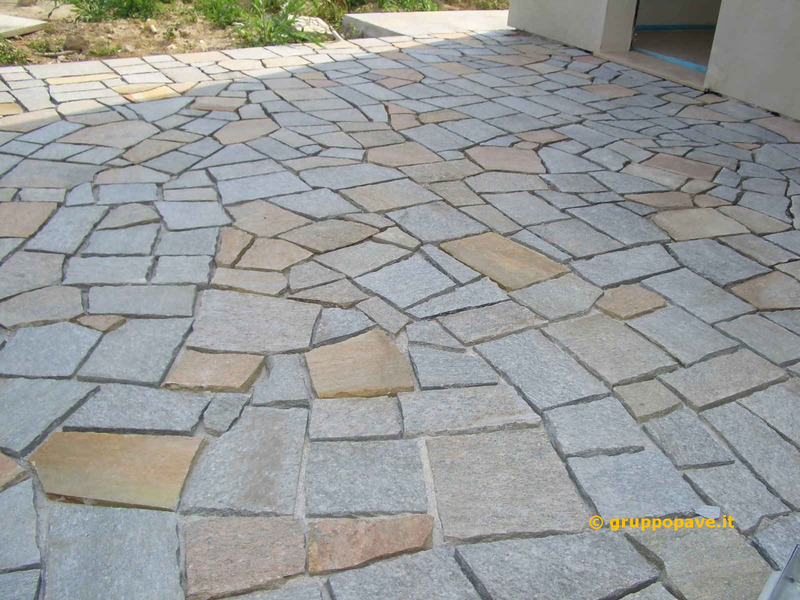 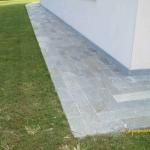 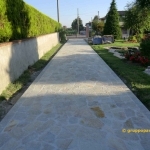 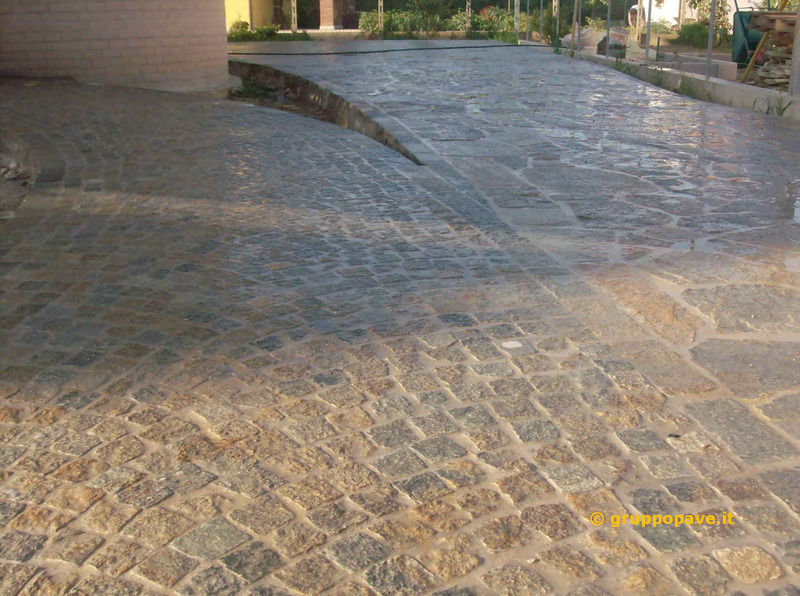 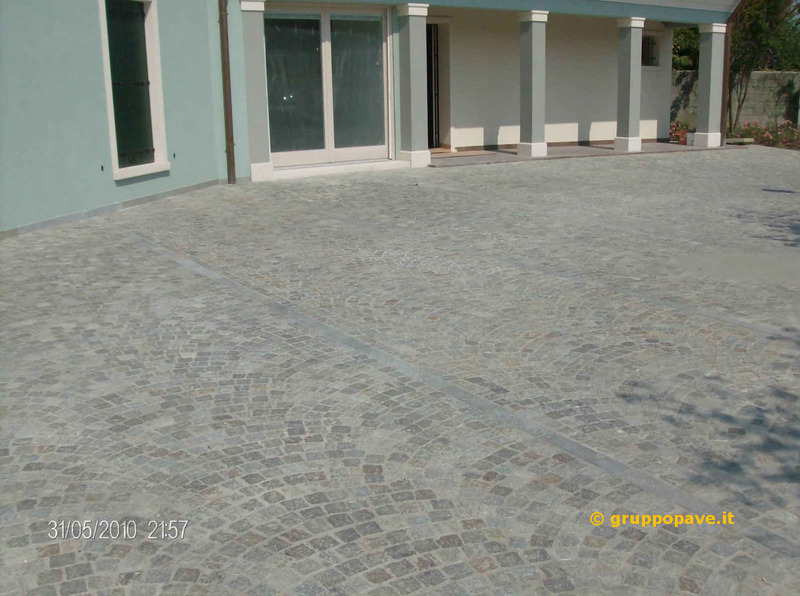 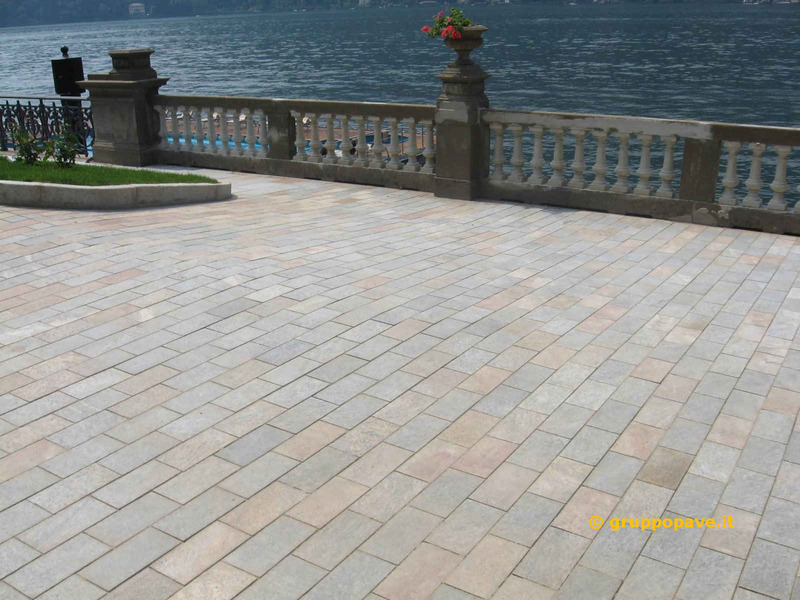 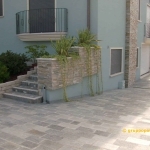 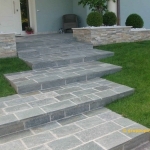 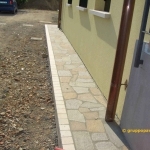 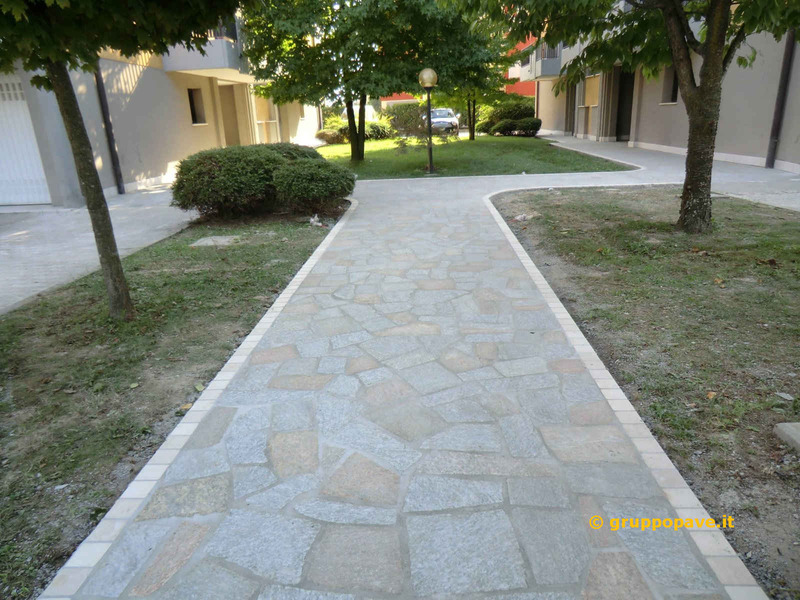 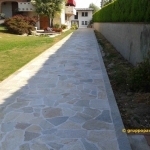 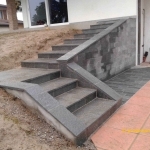 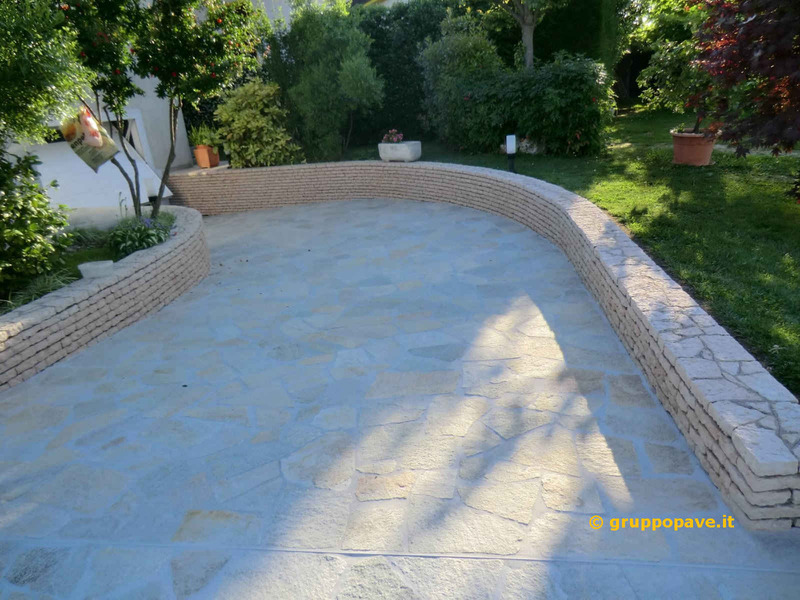 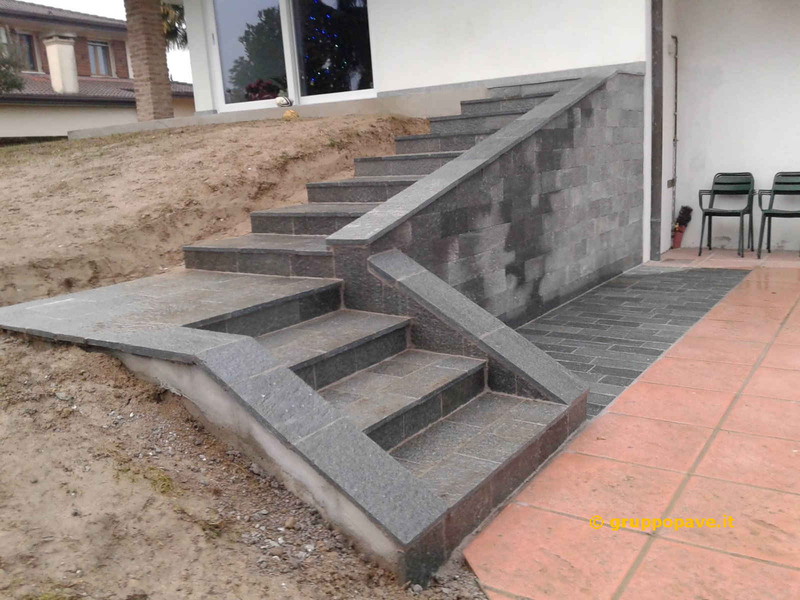 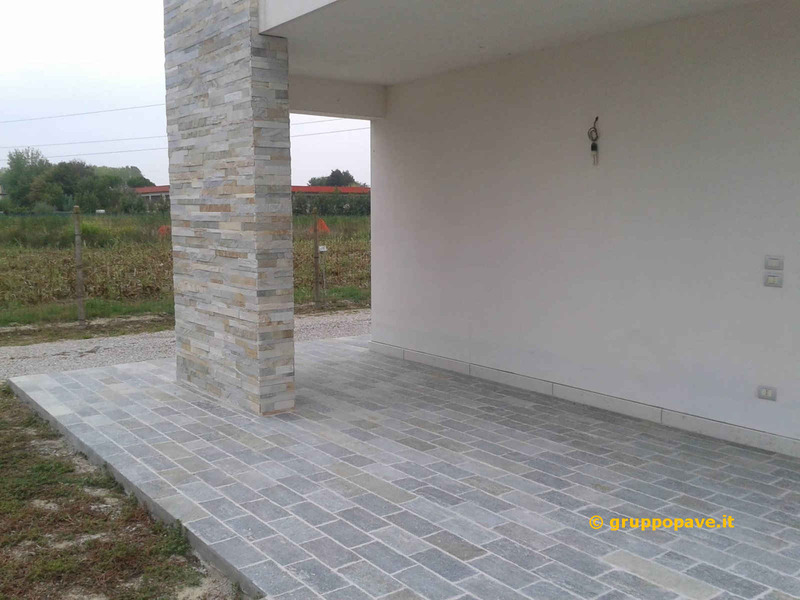 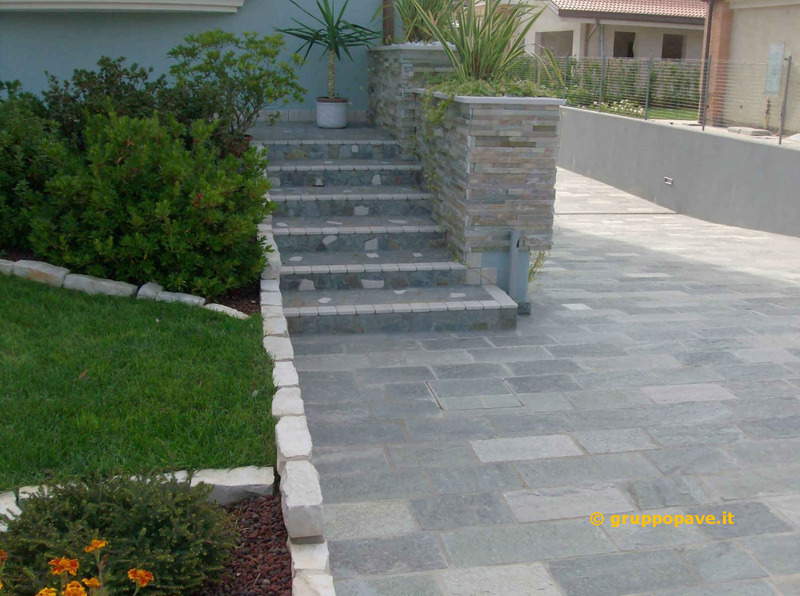 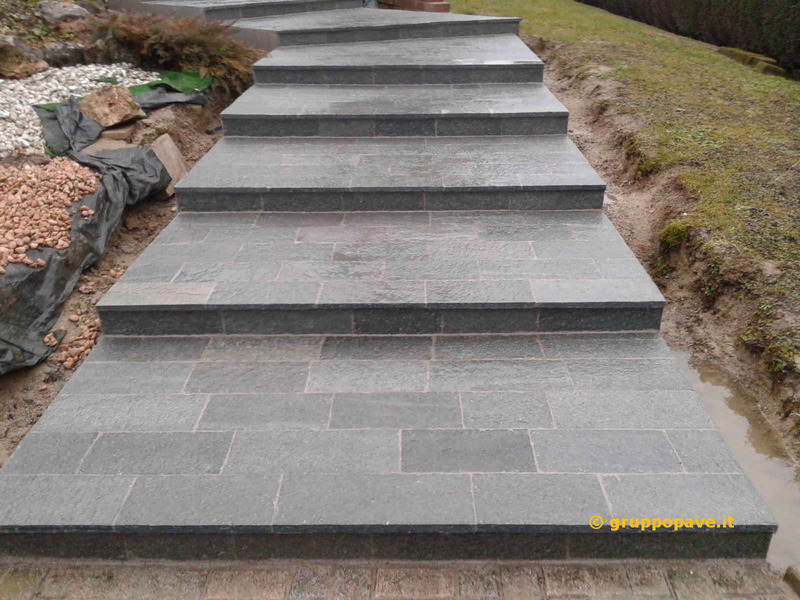 For this reason it is commonly used for the outside paving, for wall coverings, for outdoor decorations and for the realization of sidewalks, balconies , roofing, and stairscases.